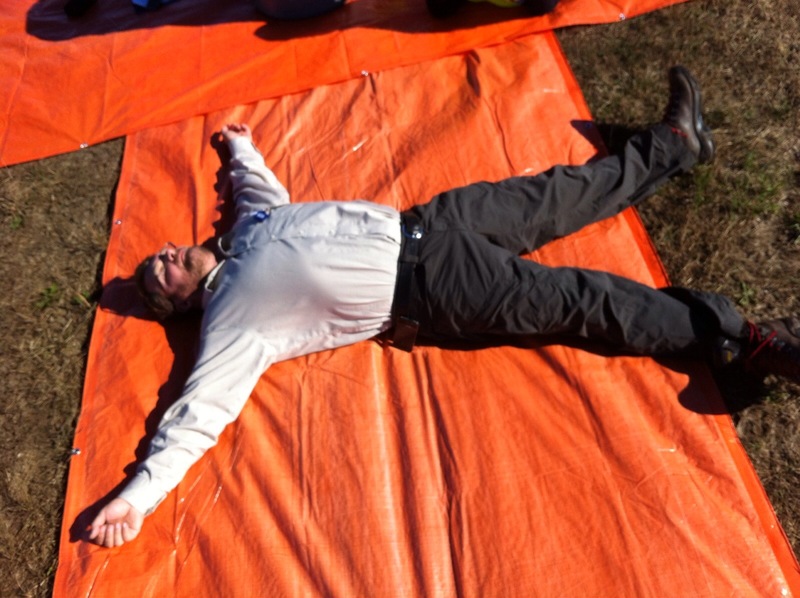 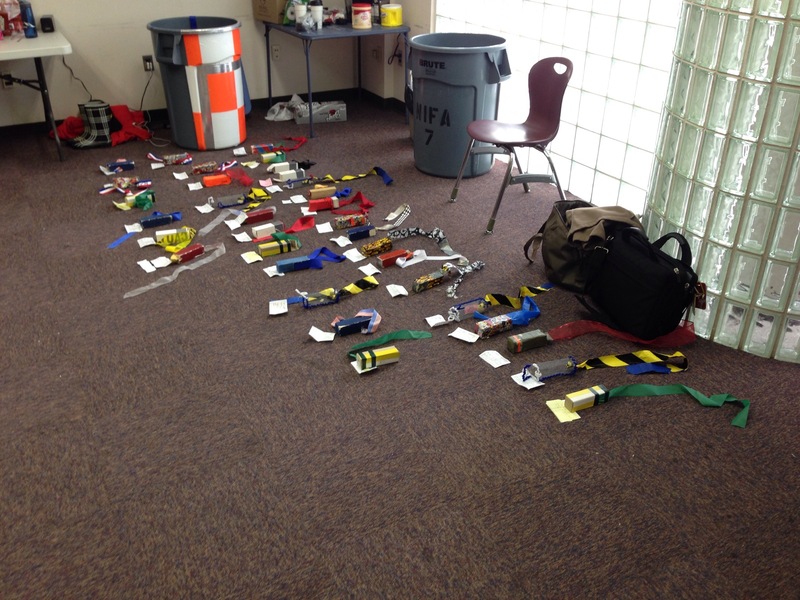 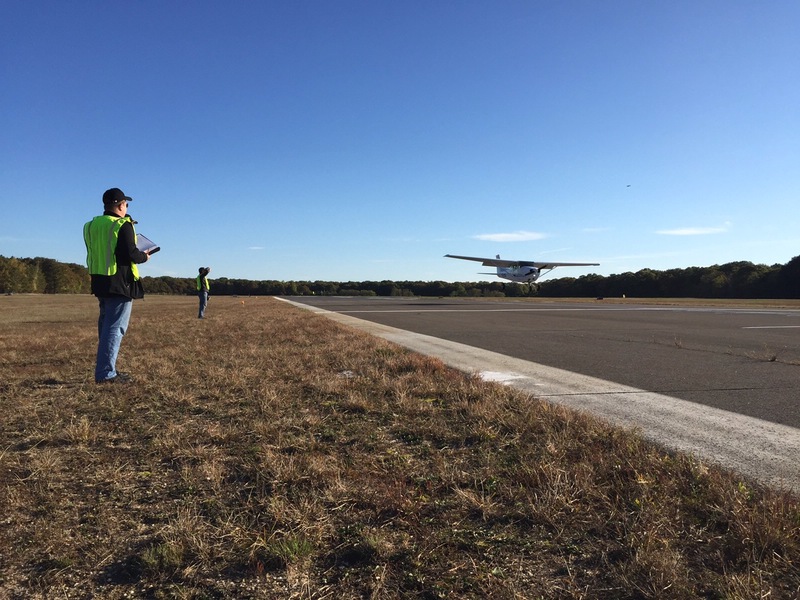 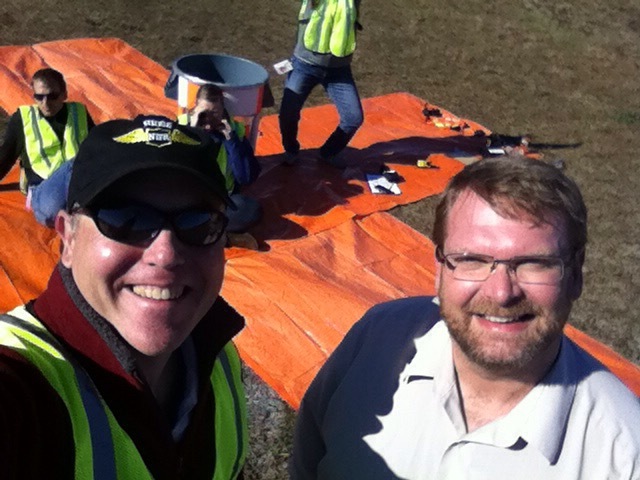 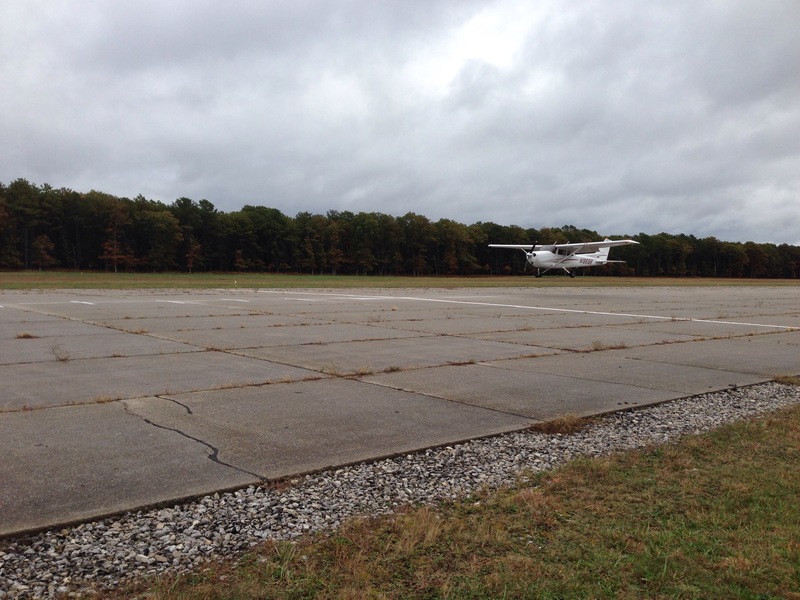 Welcome to the (semi-)live blog the 2014 National Intercollegiate Flying Association (NIFA) Region VII SAFECON (flight competition)! 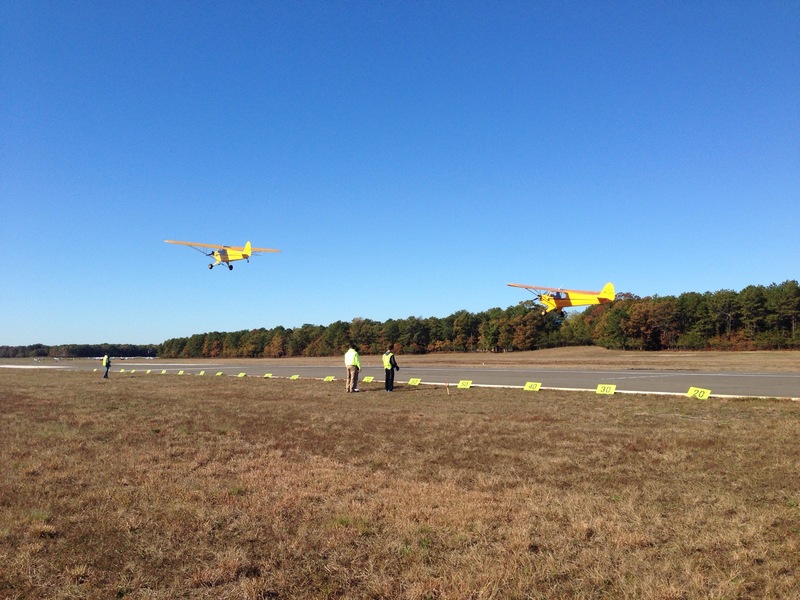 Stay tuned for event news, updates & results! 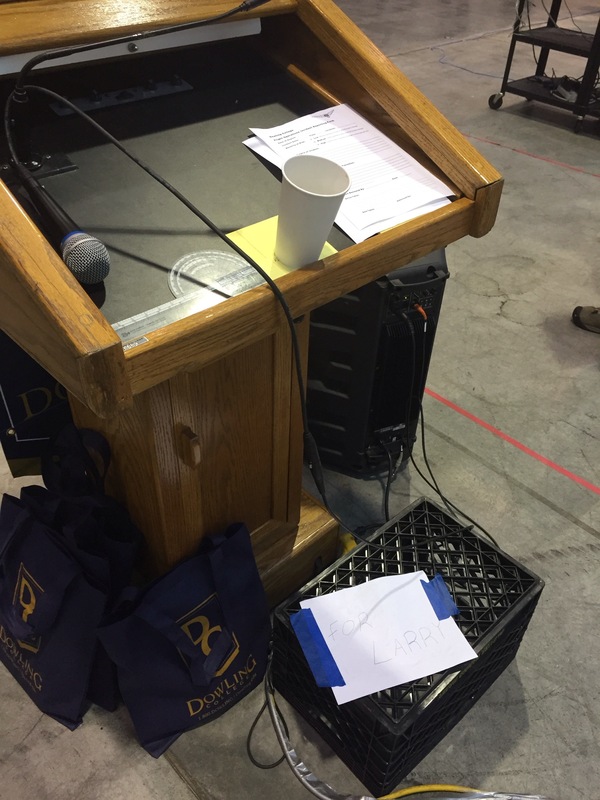 10/22/14 – The (semi-)live blog begins…NOW! 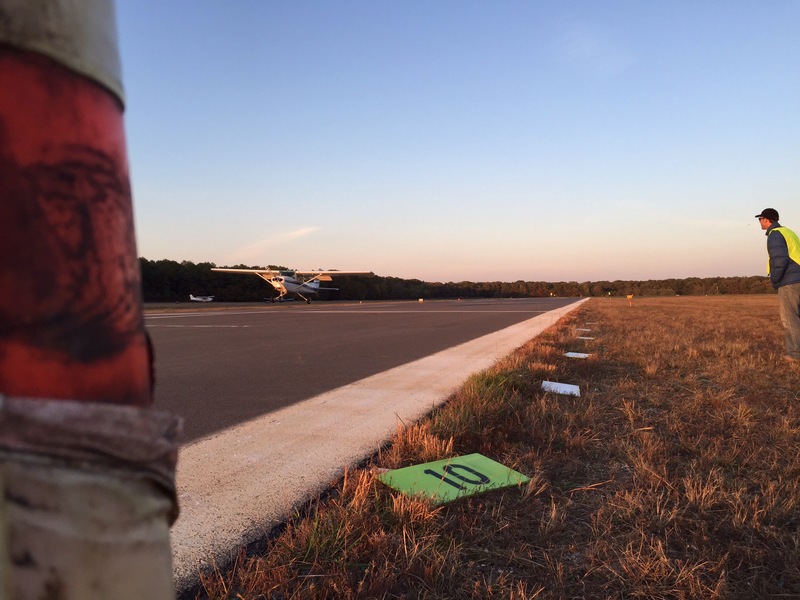 10/22/14 10:45pm – Teams have been notified of the blog via email & Twitter! 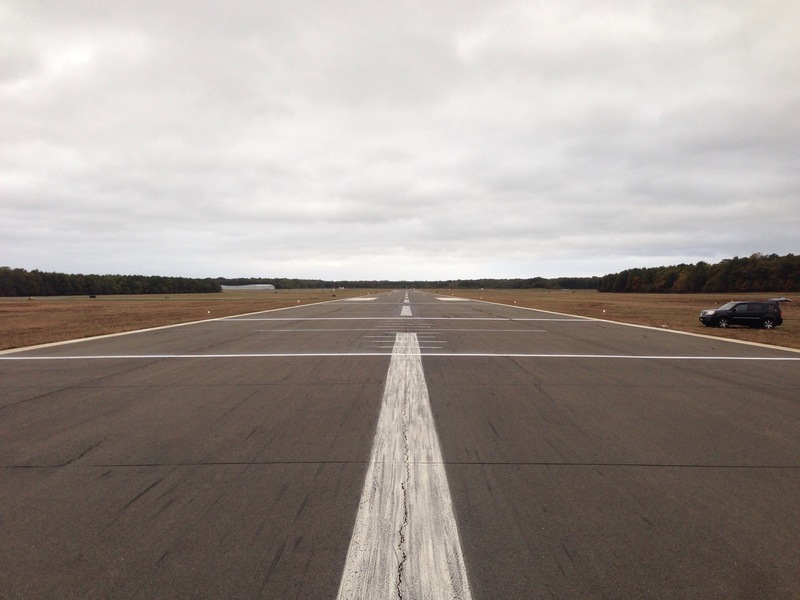 From here you can expect regular posts! 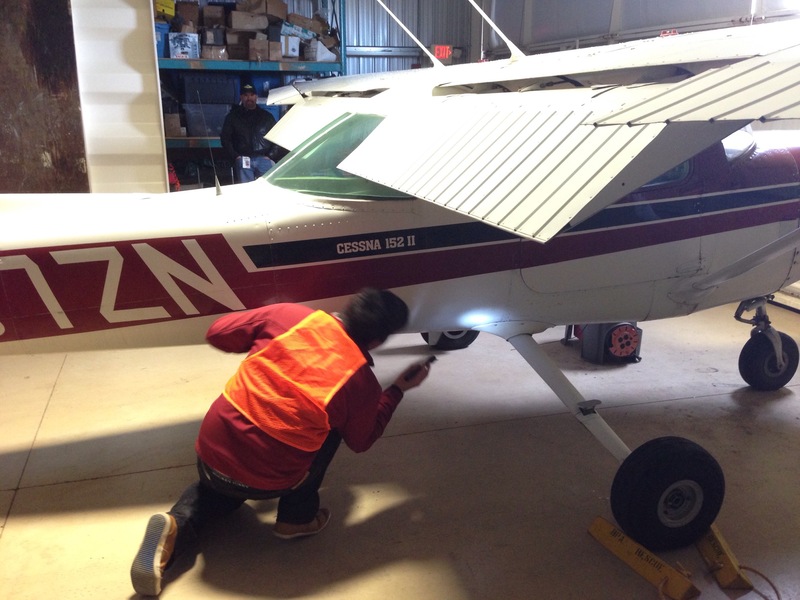 Stay tuned, tomorrow we will unveil the Preflight Inspection Event aircraft! 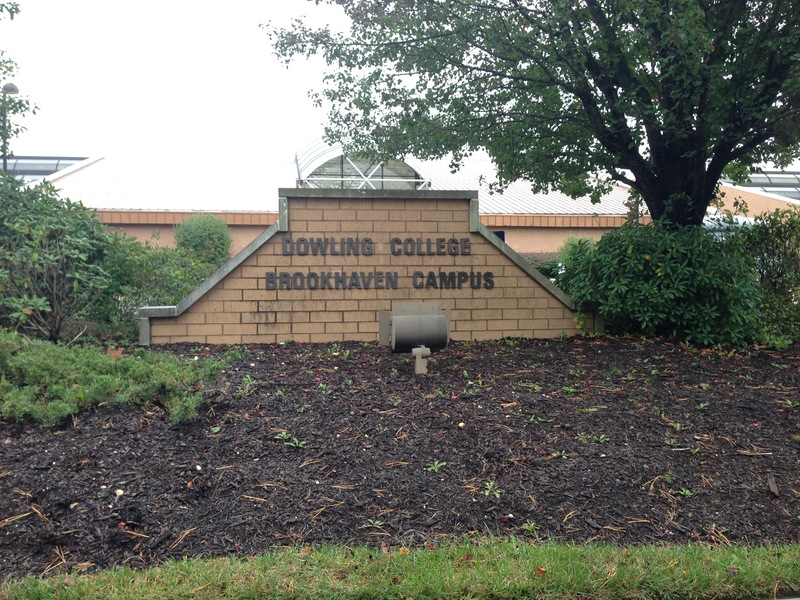 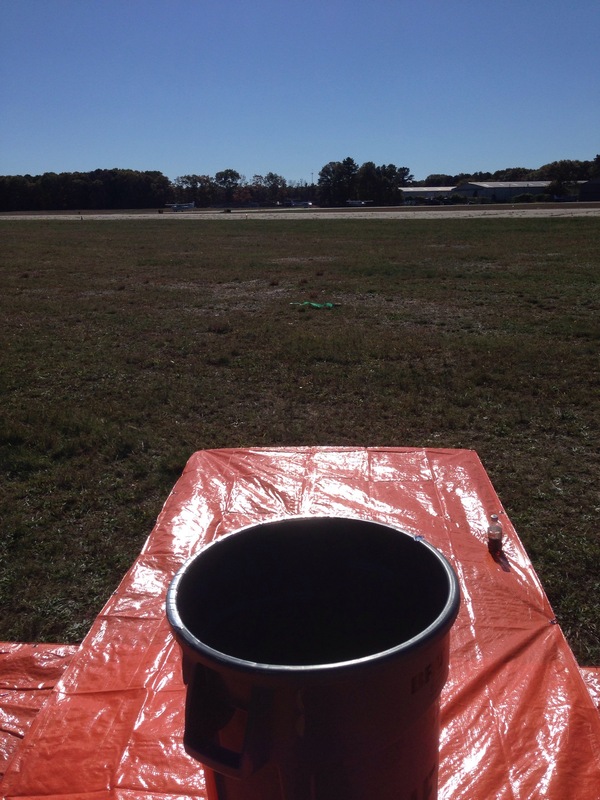 10/23/14 3:00pm – We’re setting up! 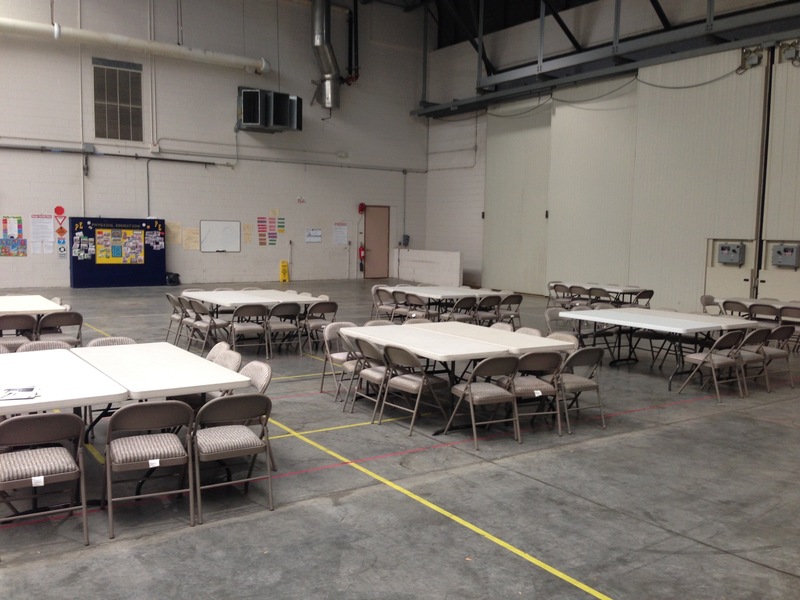 Hangar space for the teams! 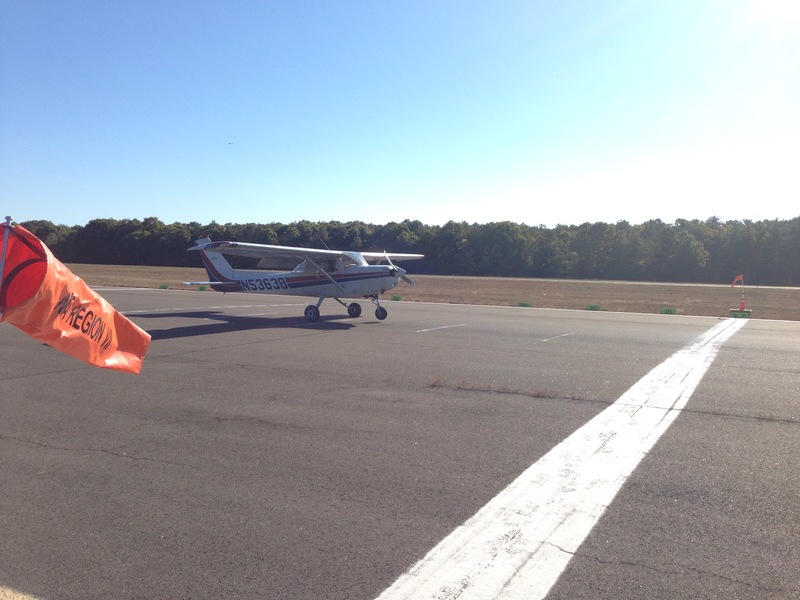 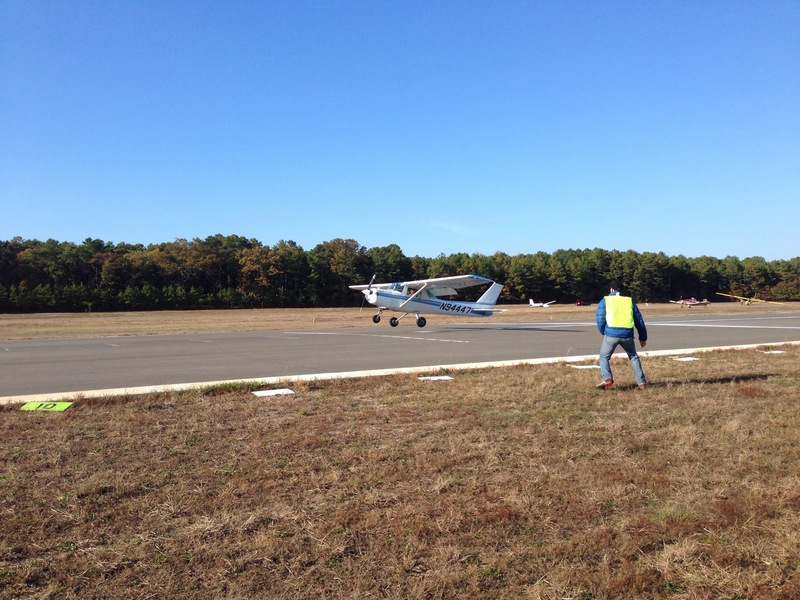 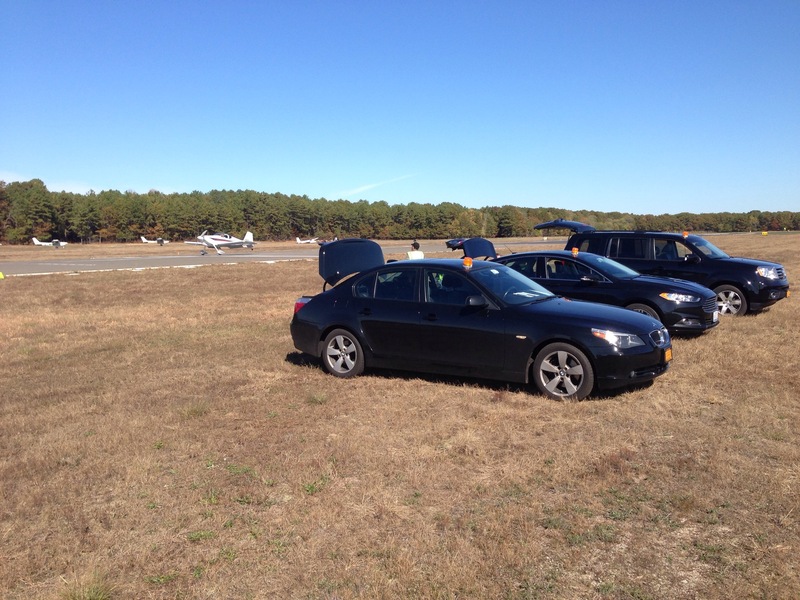 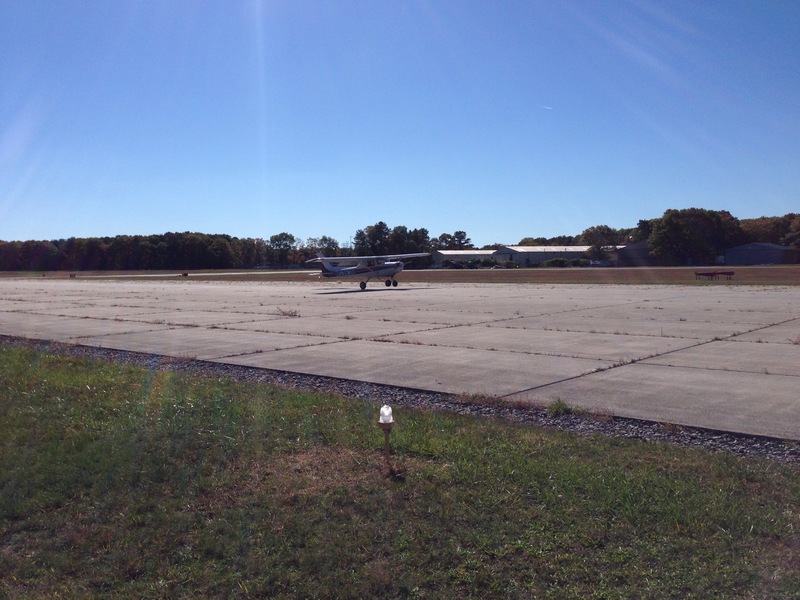 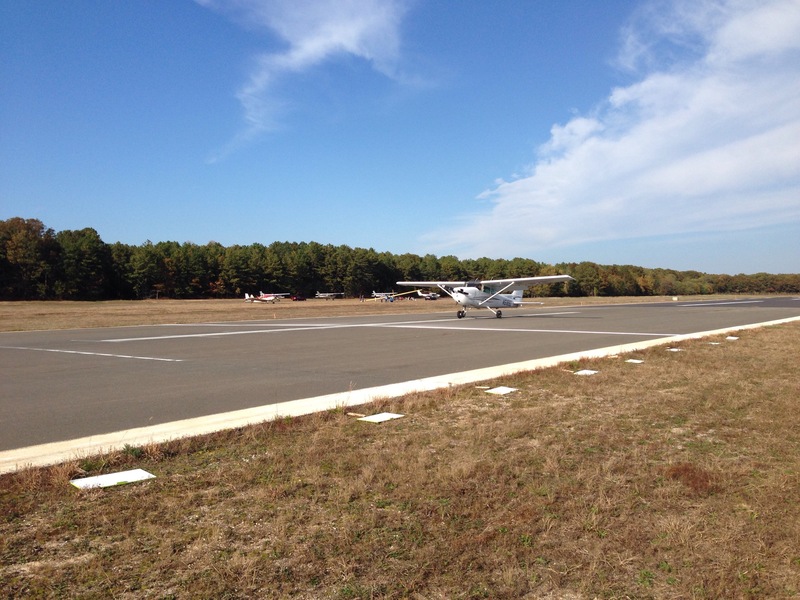 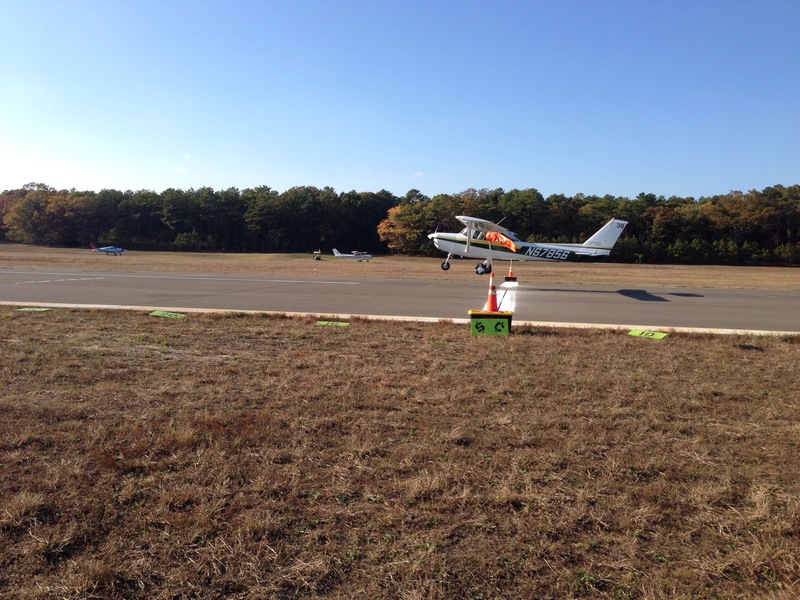 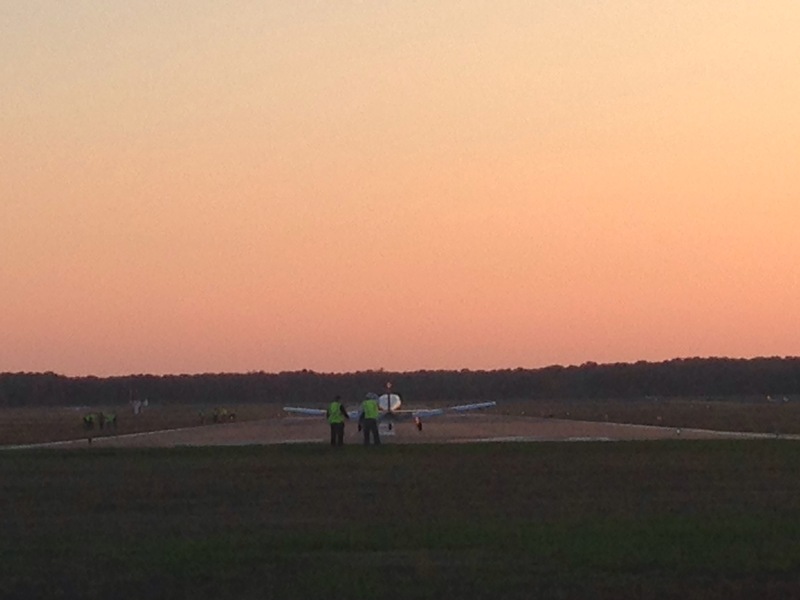 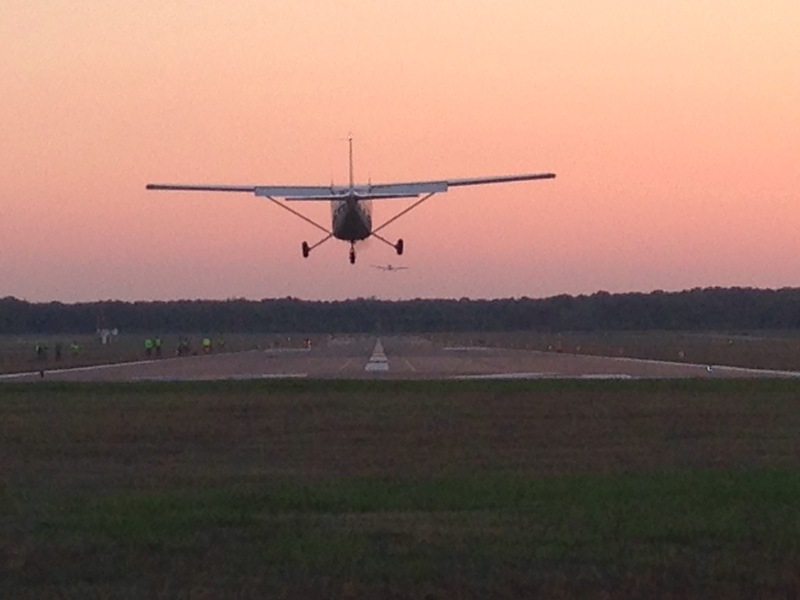 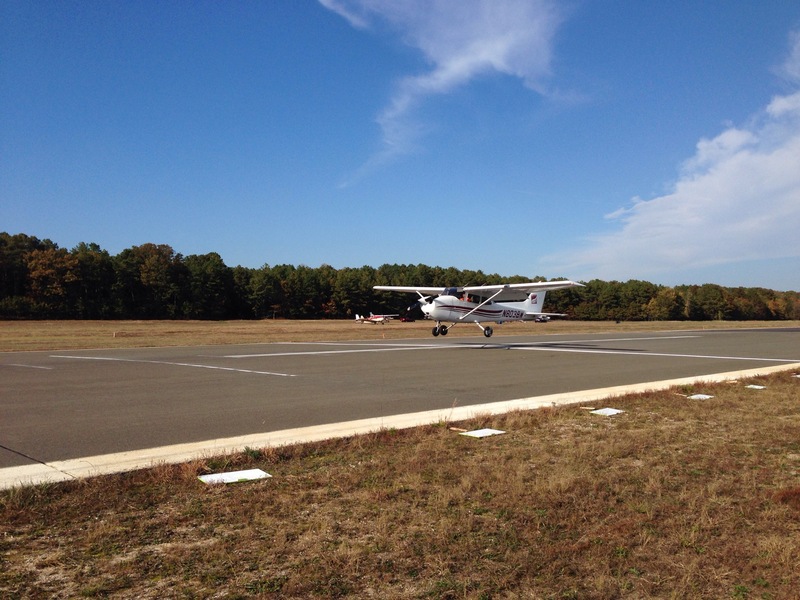 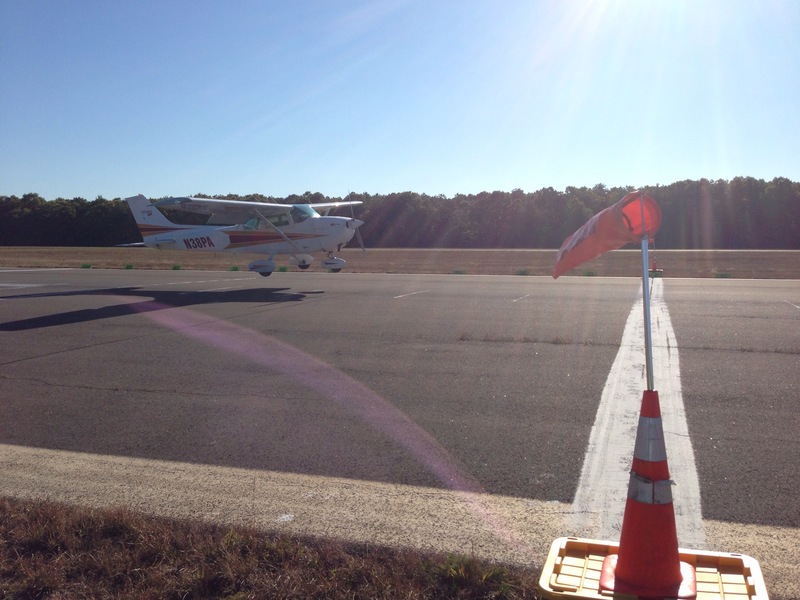 10/23/14 4:30pm – Landing event lines are being applied on Runway 24. 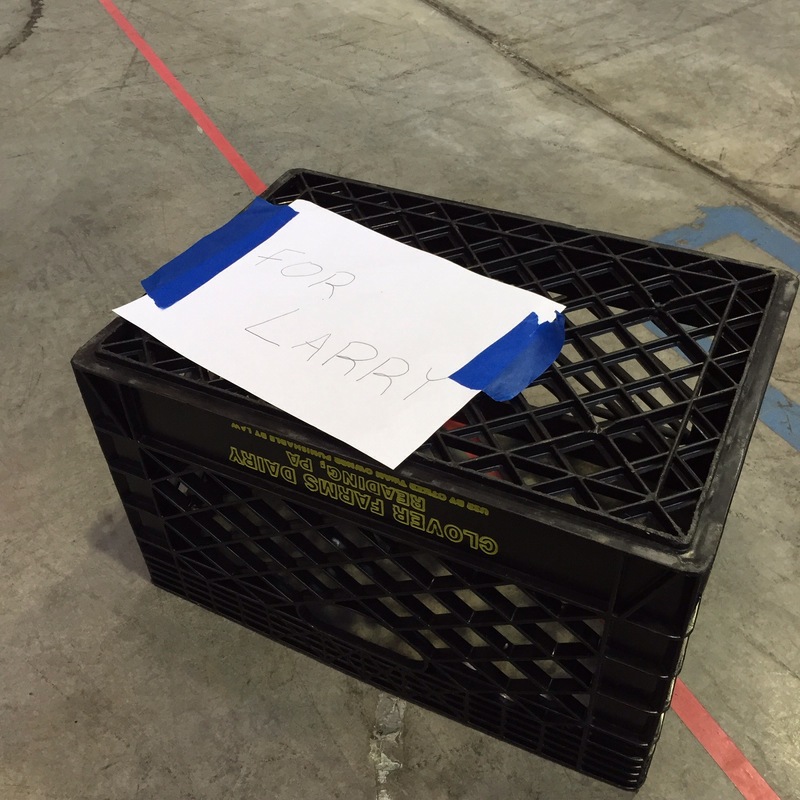 Larry working on the target line! 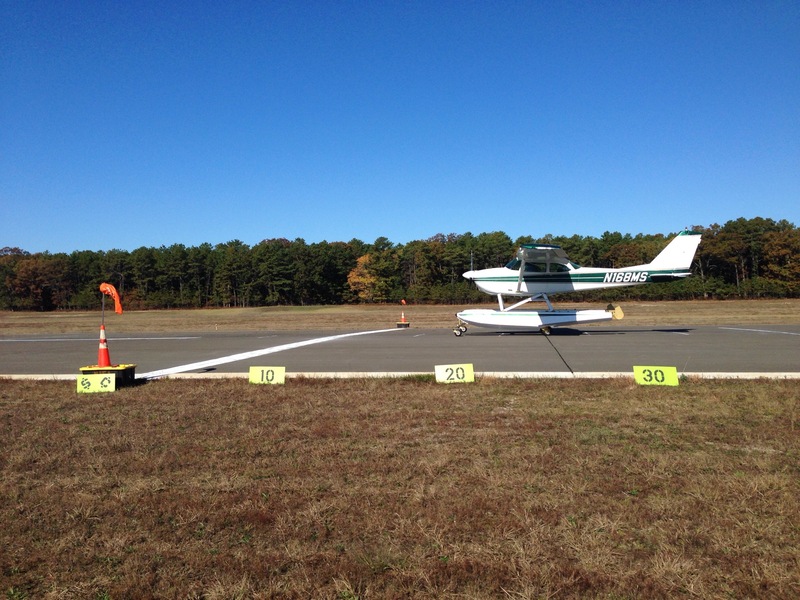 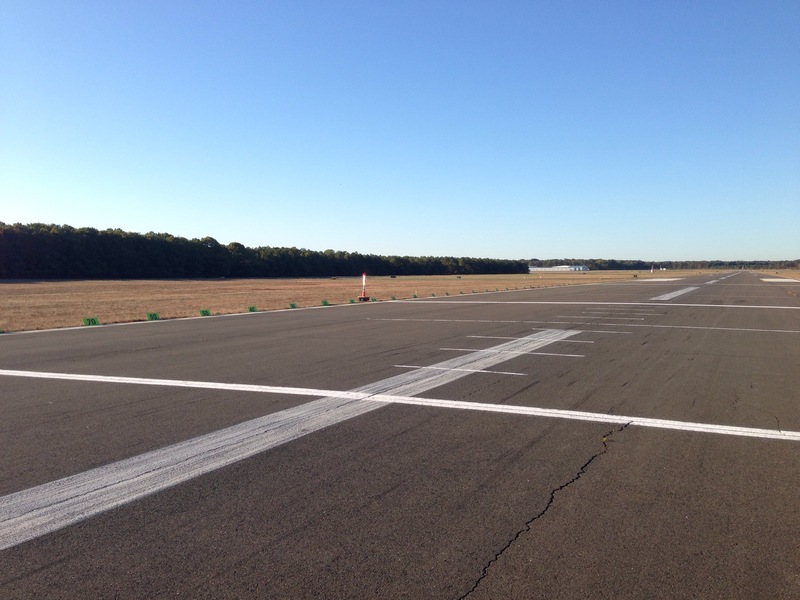 10/23/14 5:00pm – Runway stripes are completed on Runway 24, Runway 33 lines will be put down tomorrow morning! 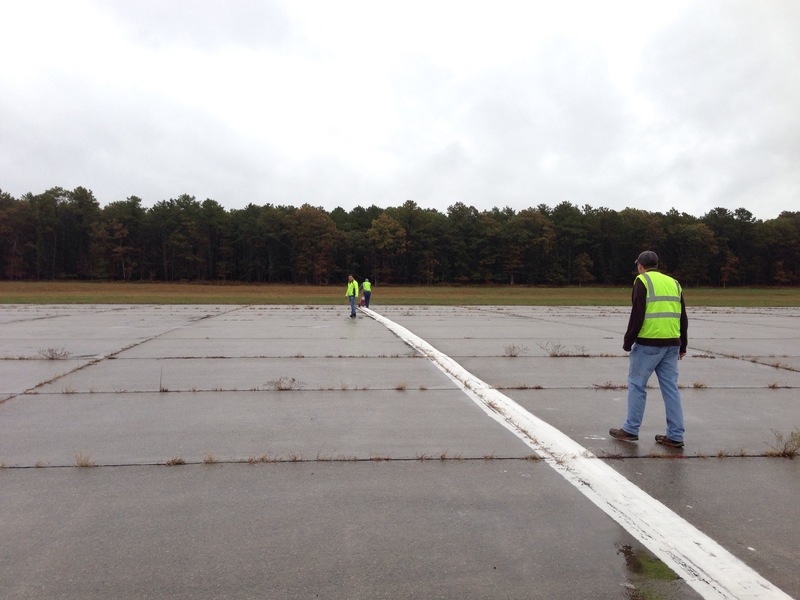 Runway 24 landing stripes are complete! 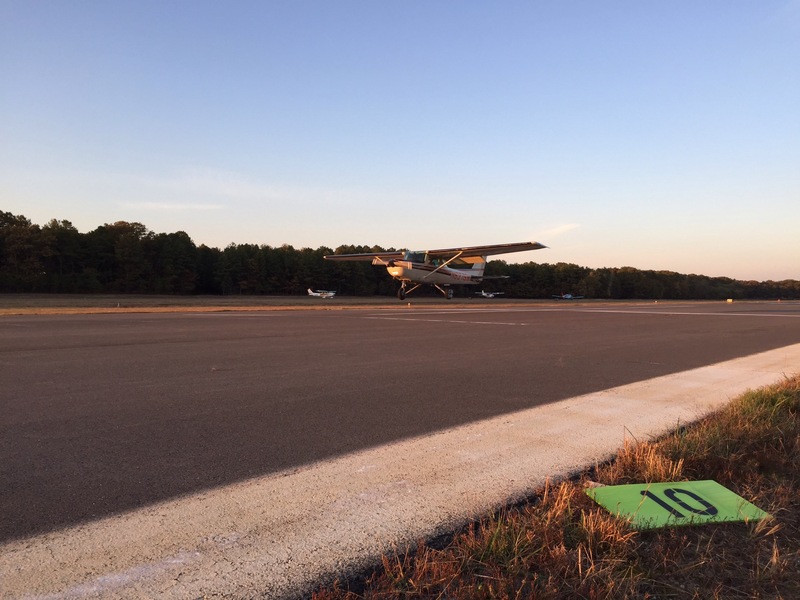 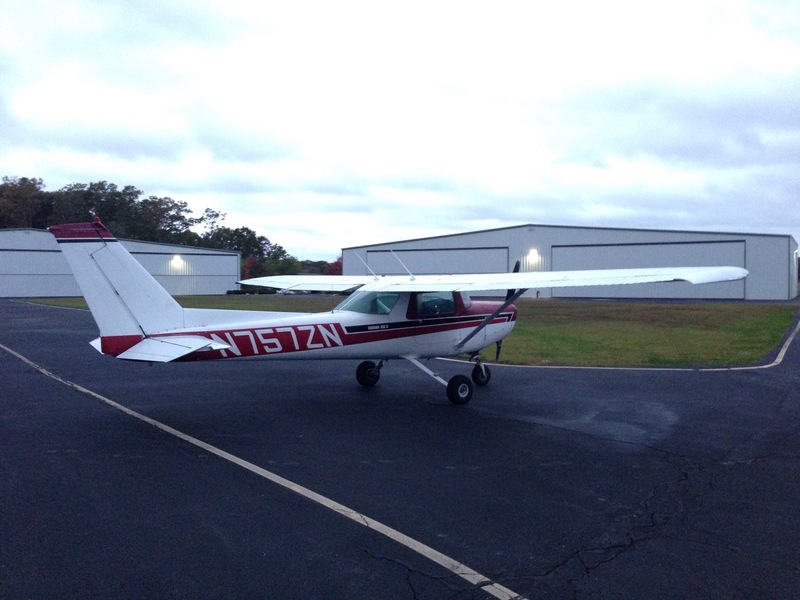 10/23/14 6:00pm The preflight event aircraft, a 1977 Cessna 152 has been moved to a secluded hangar and the ‘bugging’ will commence shortly! 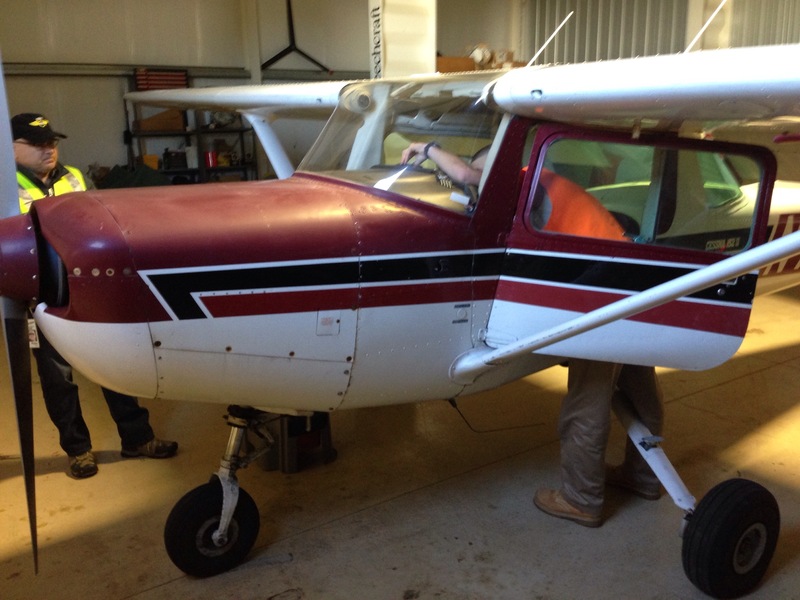 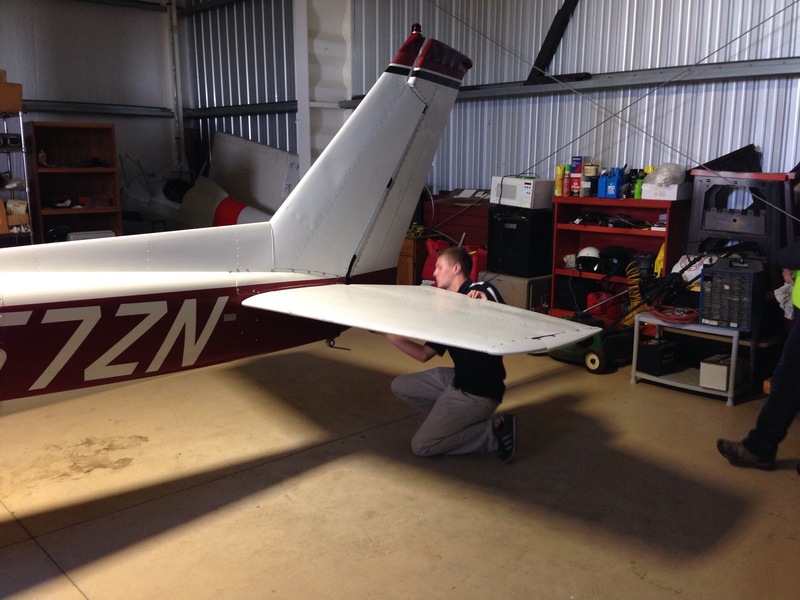 The preflight event aircraft is being prepped! 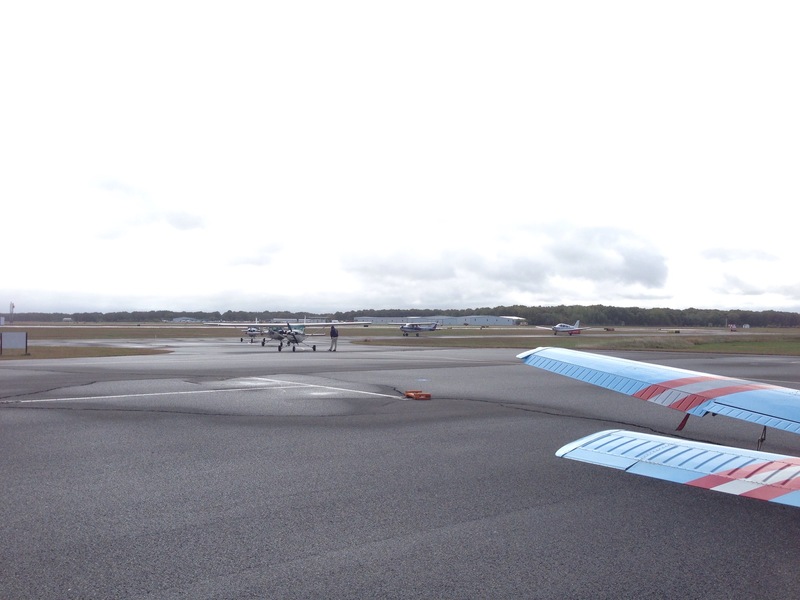 10/24/14 9:30am The stripes on Runway 24 held up much better than expected with the rain last night. 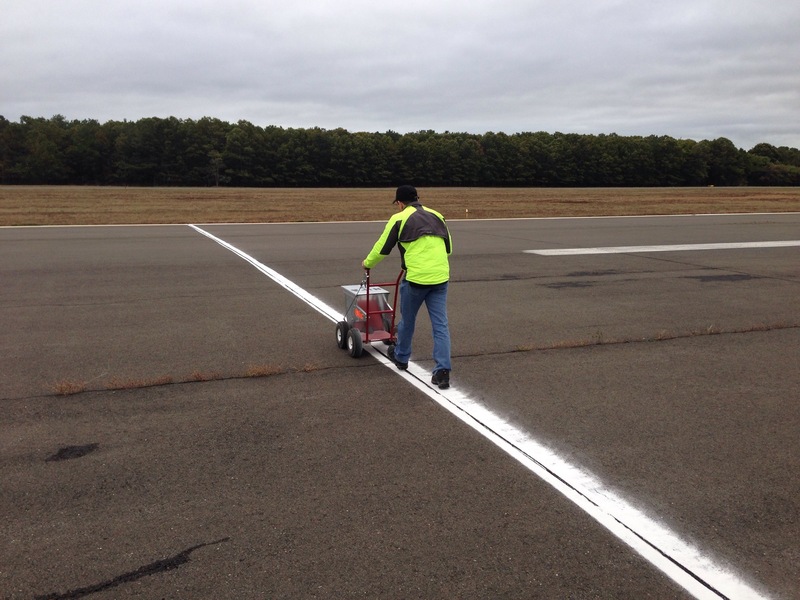 This morning, in some ‘light’ rain showers, we’re out putting the stripes down on Runway 33! 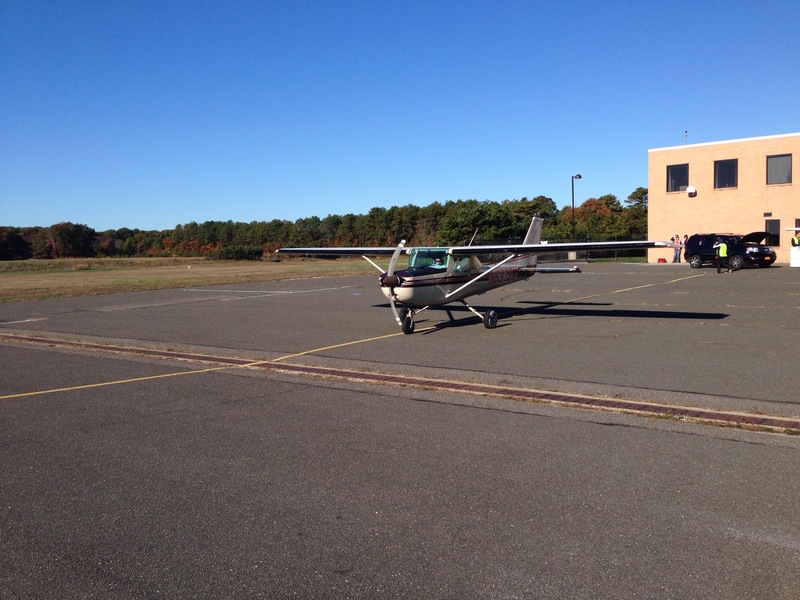 10/24/14 10:30am Farmingdale is practicing landings, US Military Academy is studying for the written events and Delaware State just arrived! 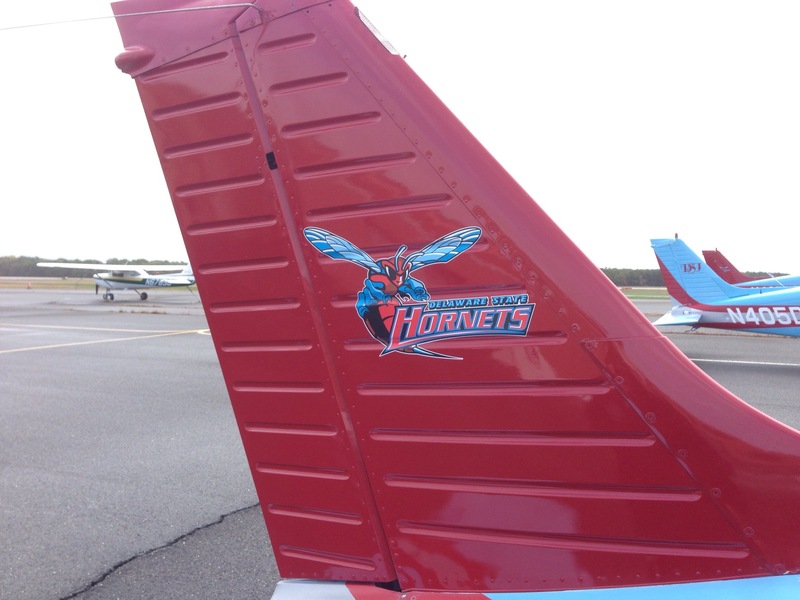 More airplanes are arriving and the teams colors are on display! 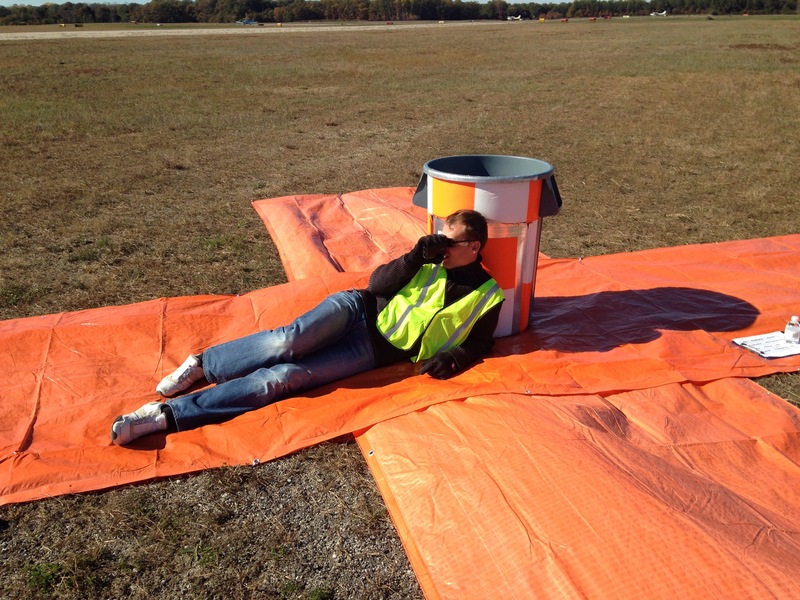 10/24/14 12:00pm We have temporarily delayed the briefing. 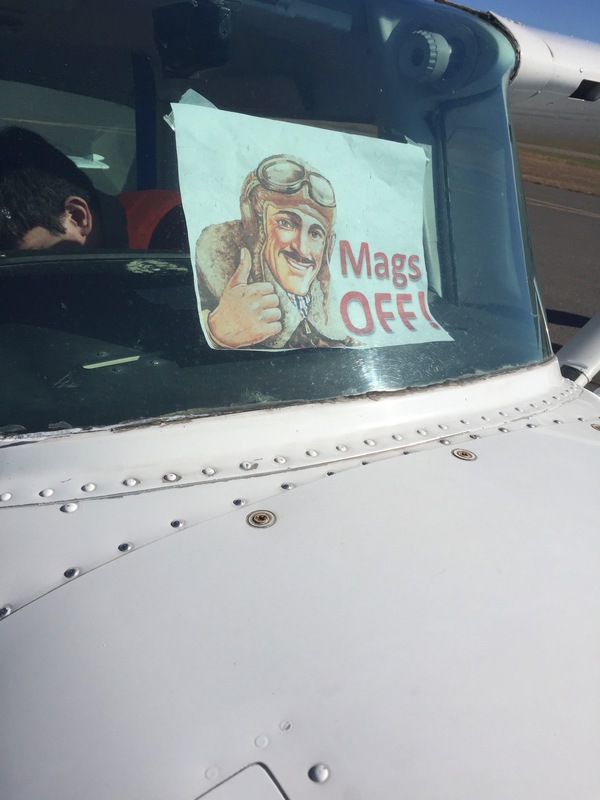 Instructions to follow in the hangar. 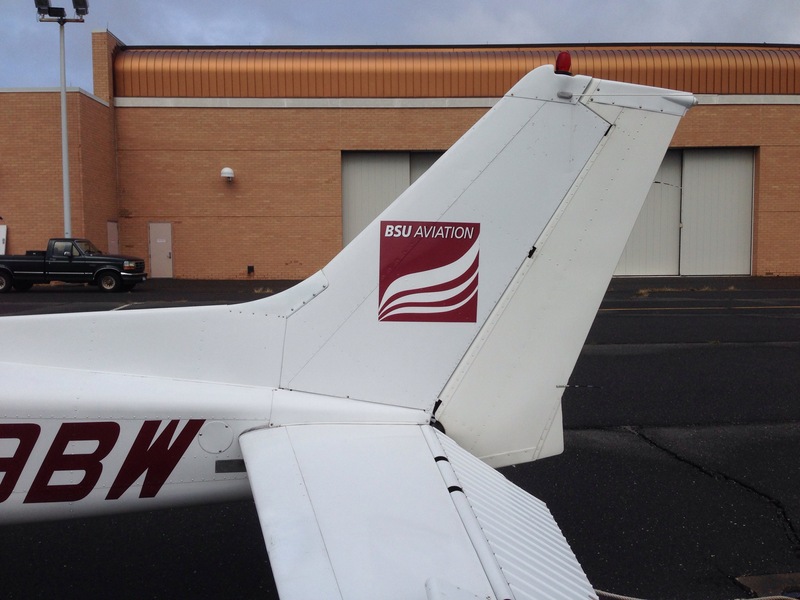 10/24/14 12:45pm We will run the Aircraft Recognition event for Bridgewater, Delaware, Dowling & Farmingdale at 1:15 in room 207. 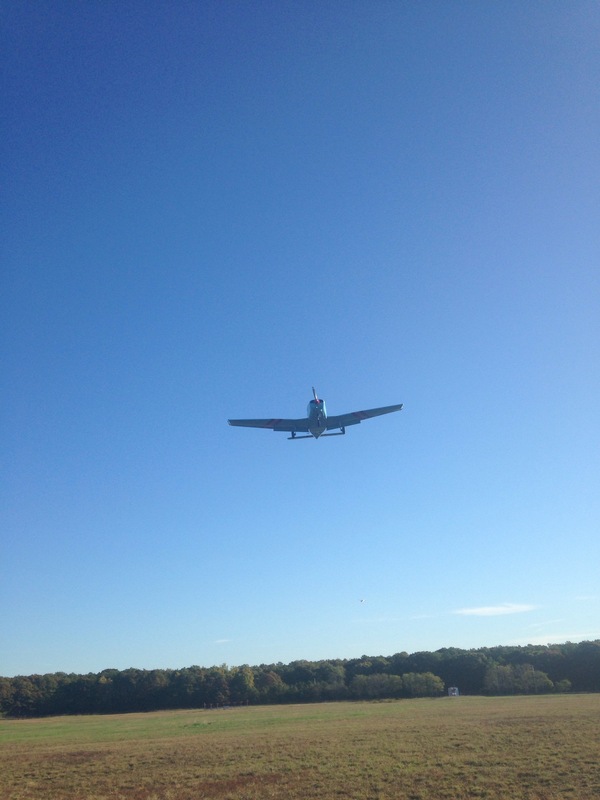 Schenectady, US Military Academy and RPI will be run later, exact time is TBD. 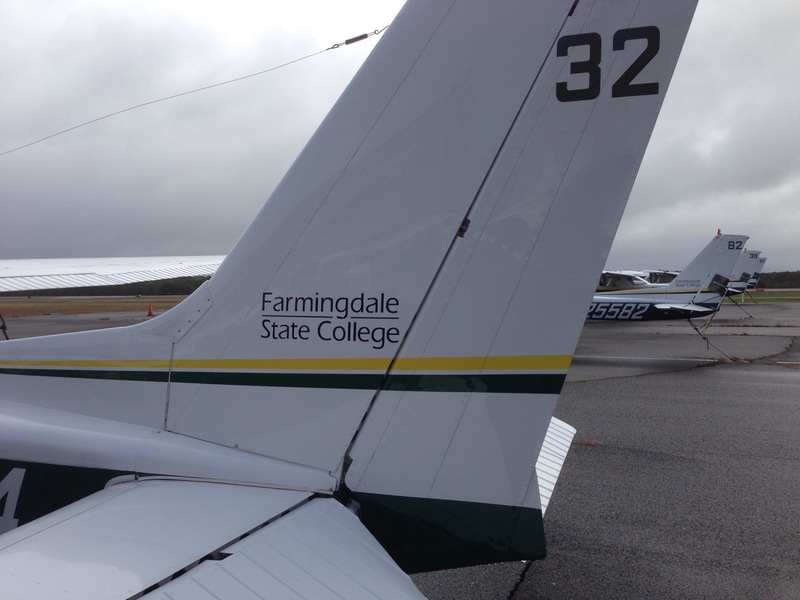 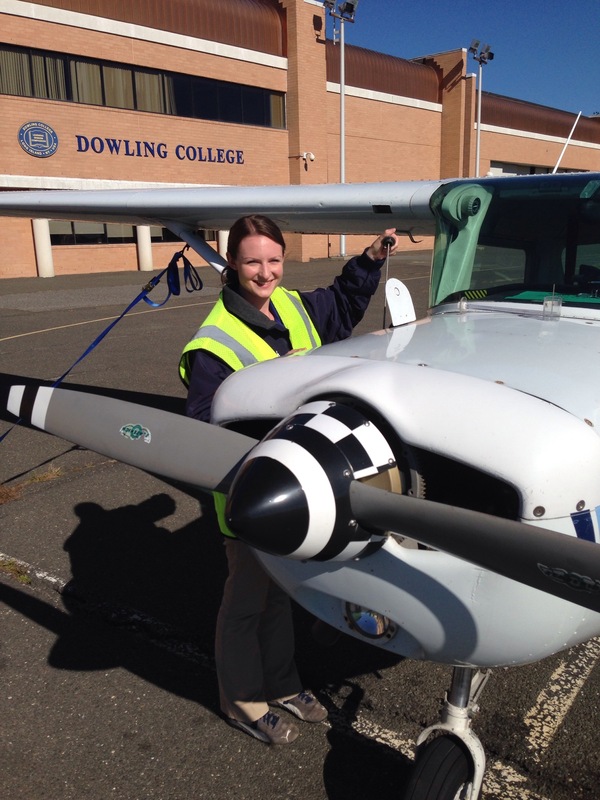 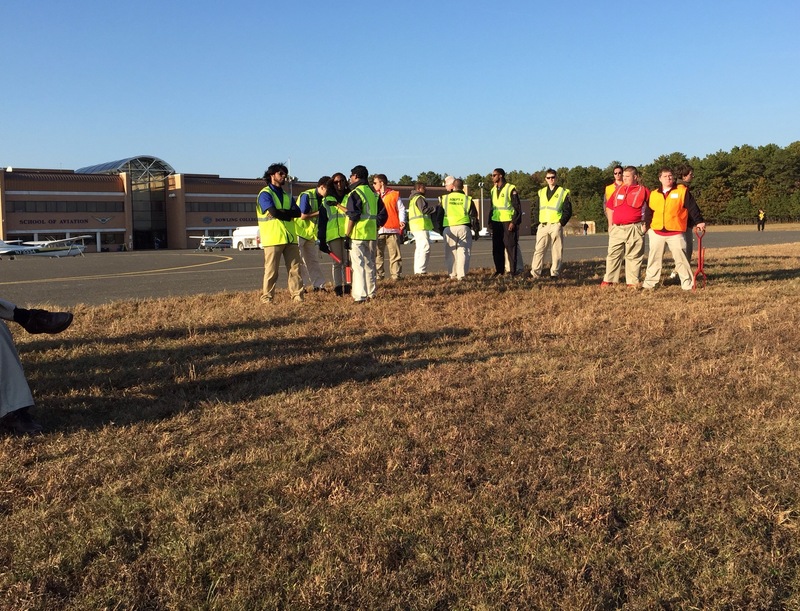 10/24/14 1:30pm The Aircraft Recognition event for BSU, DSU, DC & FSC is under way! 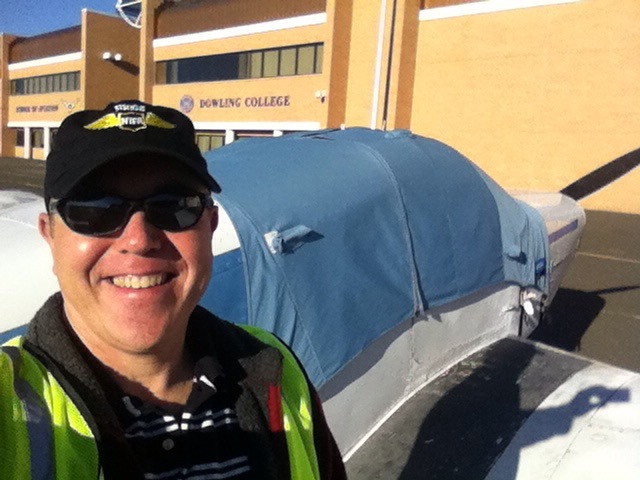 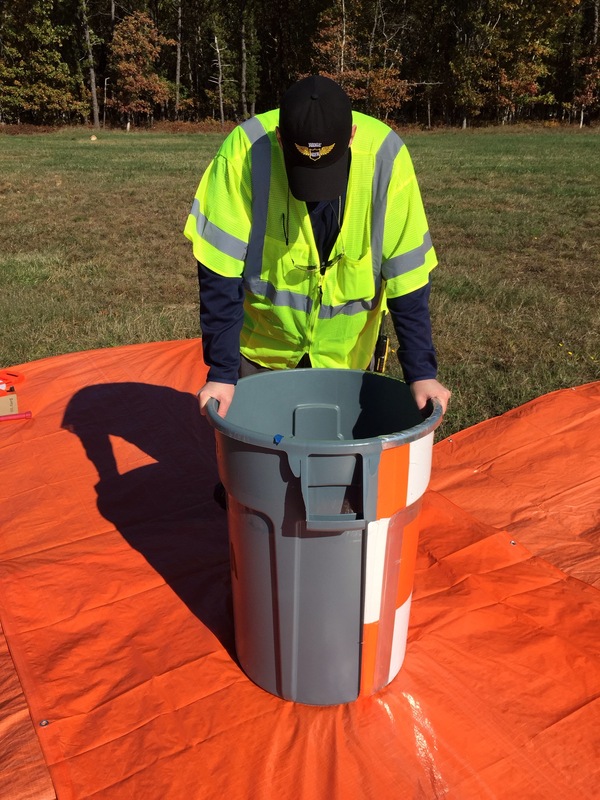 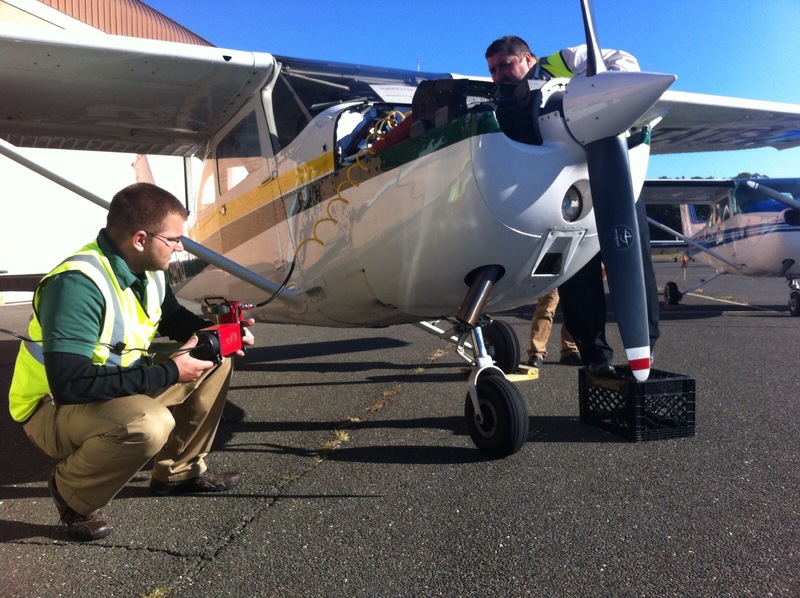 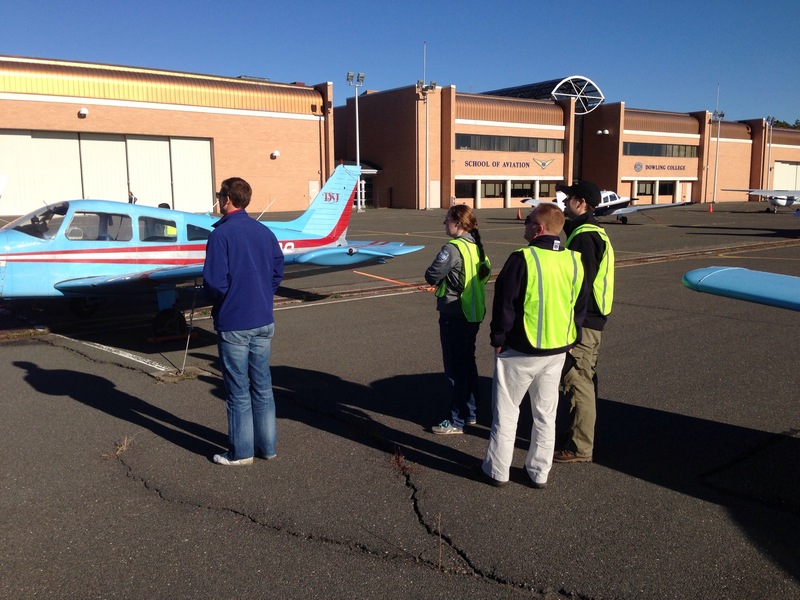 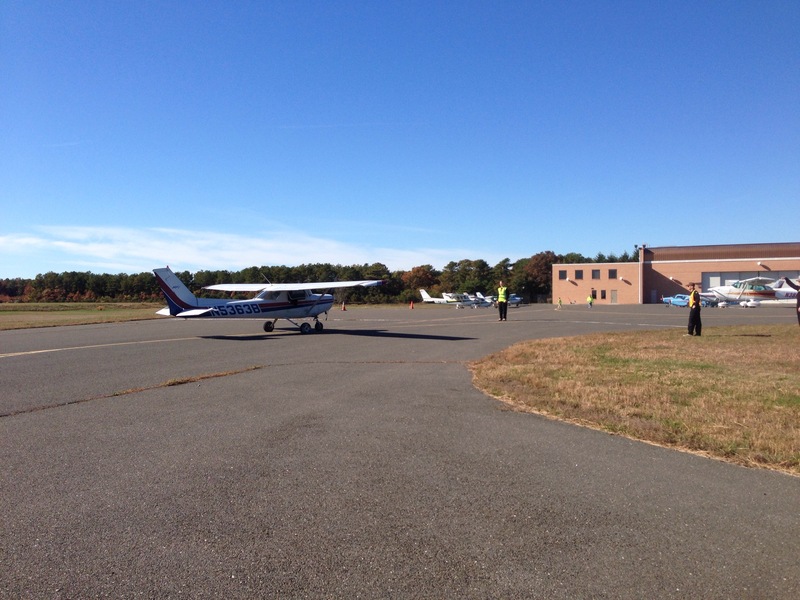 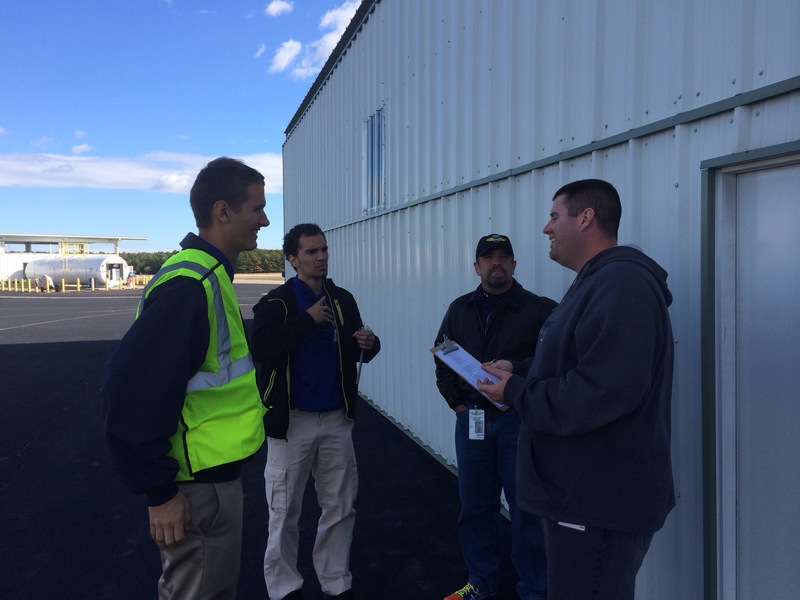 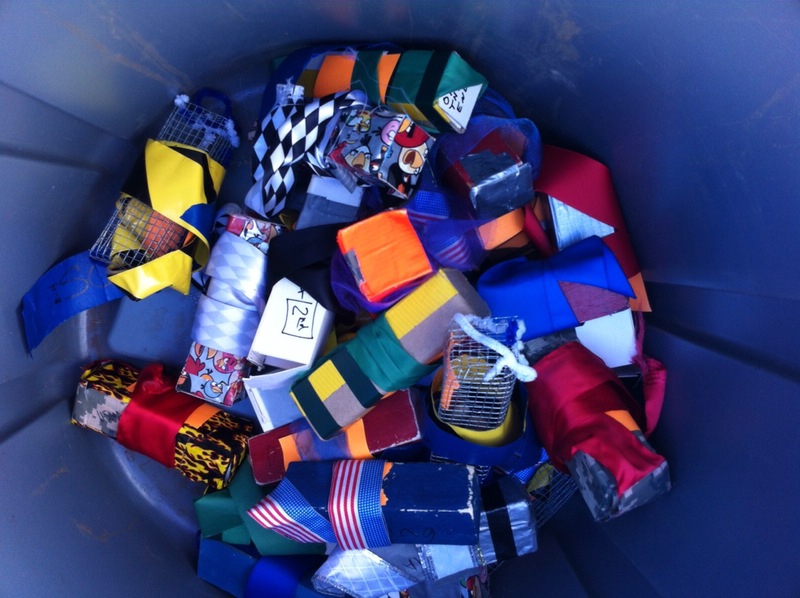 10/24/14 1:35pm Sean Breen (Regional Council Rep) is heading to the hangar to distribute ID badges for competitors. 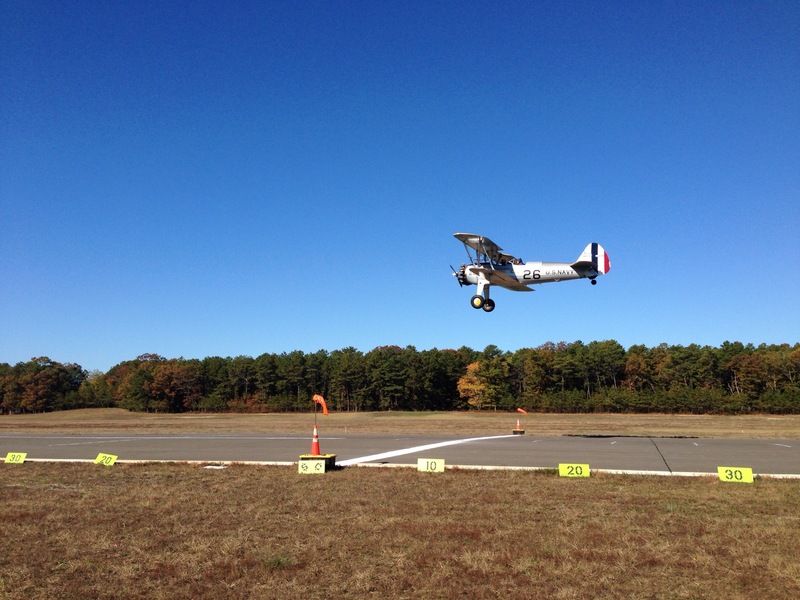 US Military Academy should expect to begin Ground Trainer Event practice soon; we are getting the facility opened & set up, stay tuned! 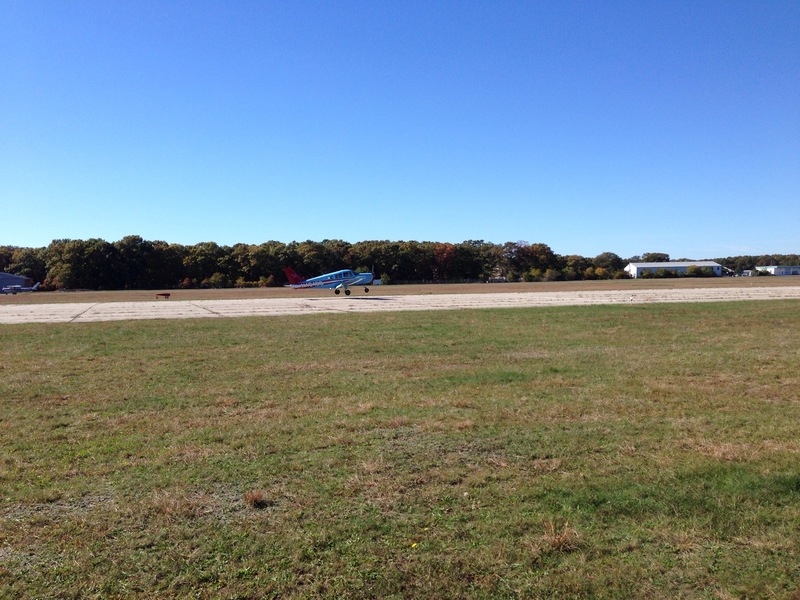 10/24/14 2:00pm USMA Ground Trainer practice to commence at 2:15pm… Or 1415 in military time! 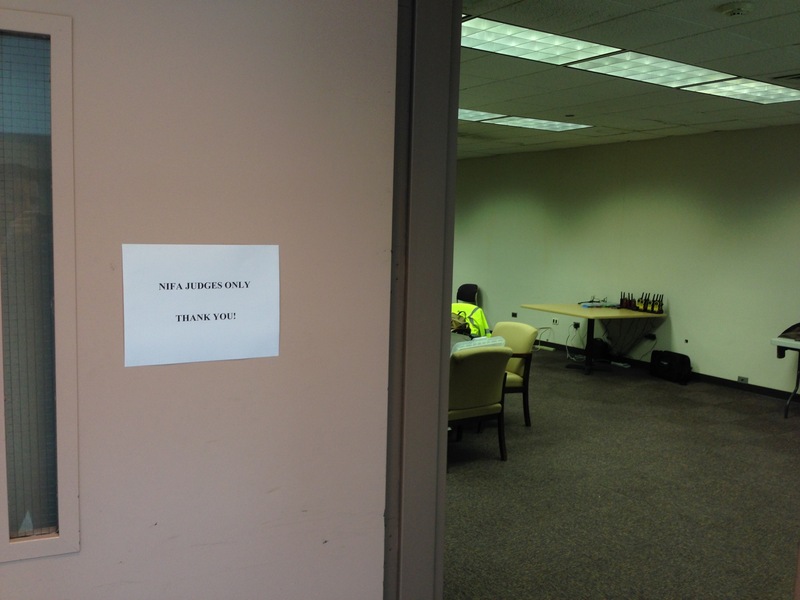 10/24/14 2:30pm At 2:45pm in Room 207 BSU, DSU, FSC & USMA will have their SCAN test event. 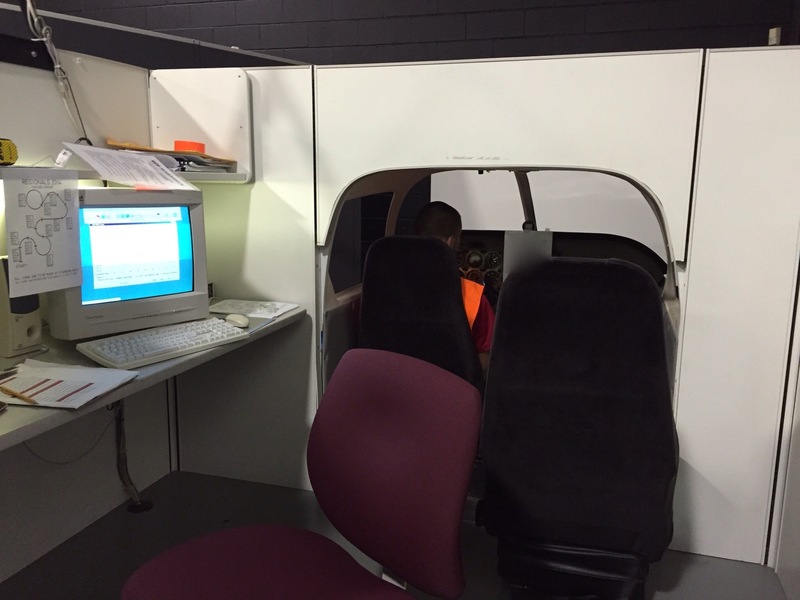 Other schools SCAN test will be scheduled later today. 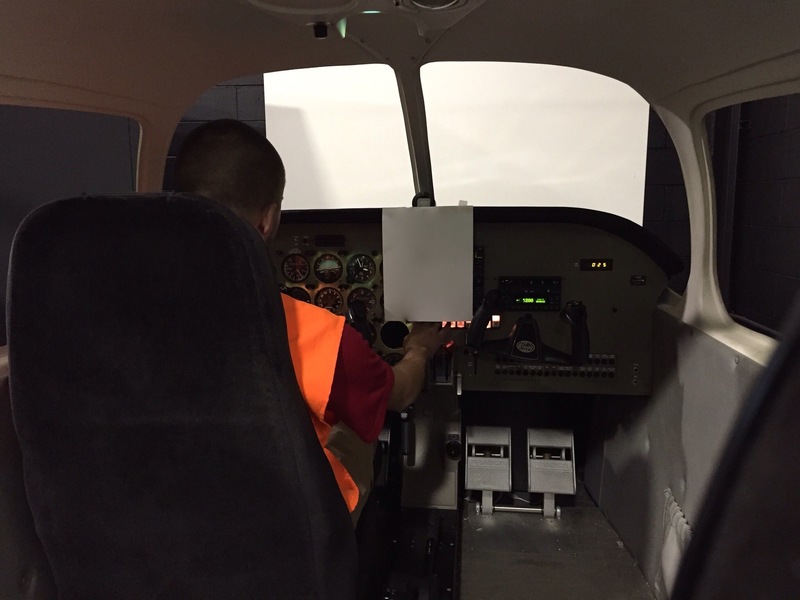 10/24/14 9:15pm The evening edition of the E6B Computer Accuracy Event coming to a finish! 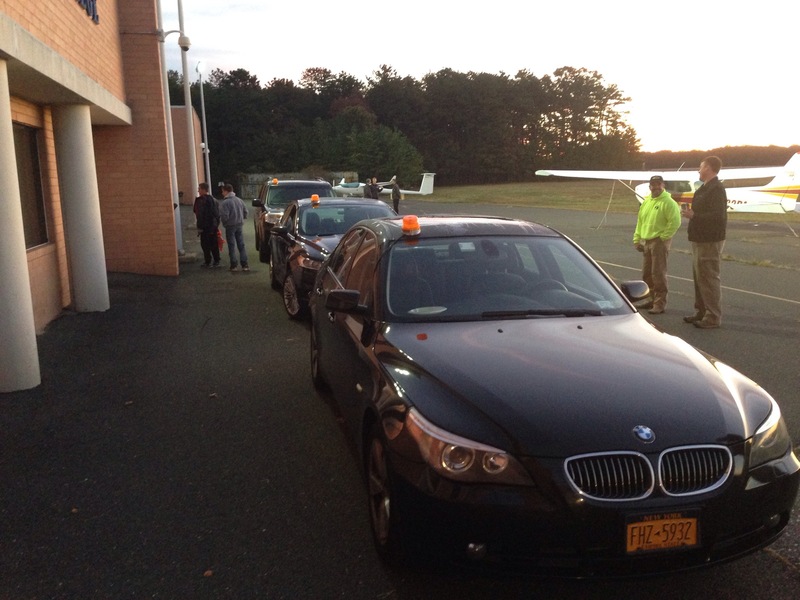 10/25/14 6:00am The dew has set in and the judges are ready to roll! 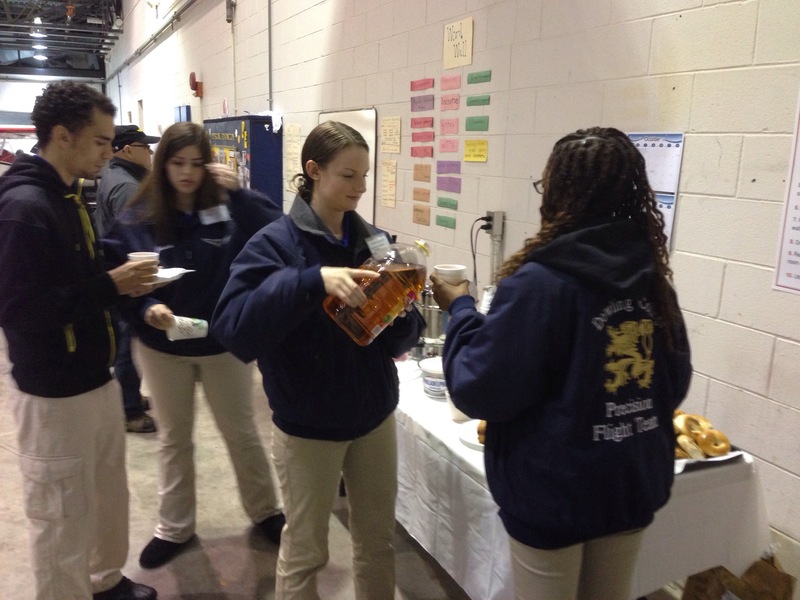 10/25/14 6:30am Sunrise and breakfast! 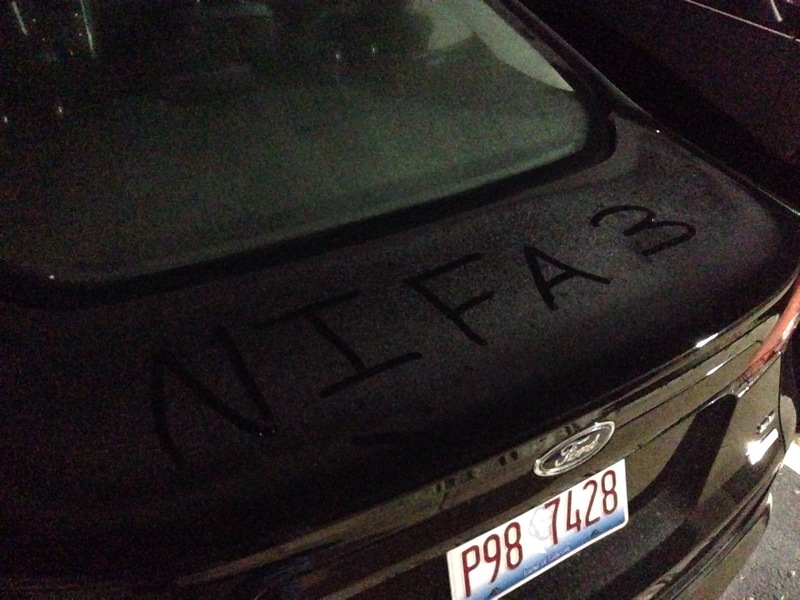 NIFA Judge vehicles lined up & ready to go! 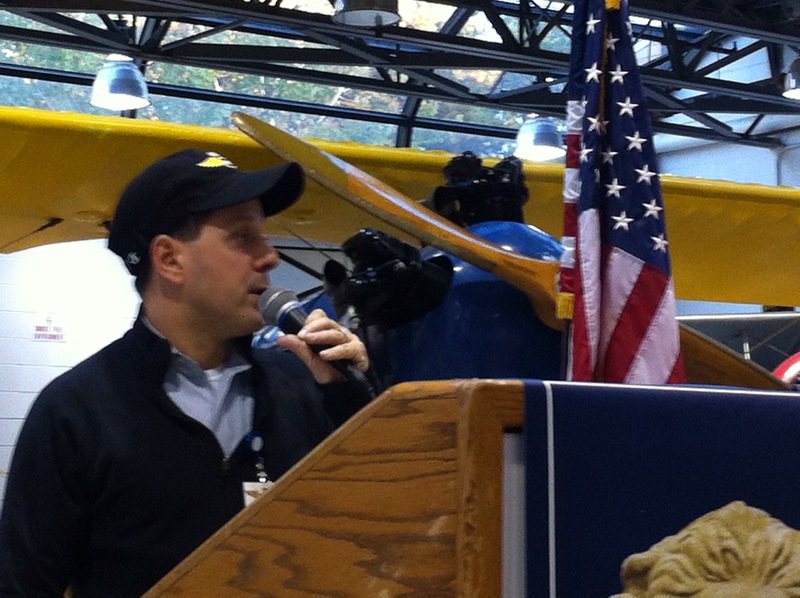 Larry giving his morning briefing! 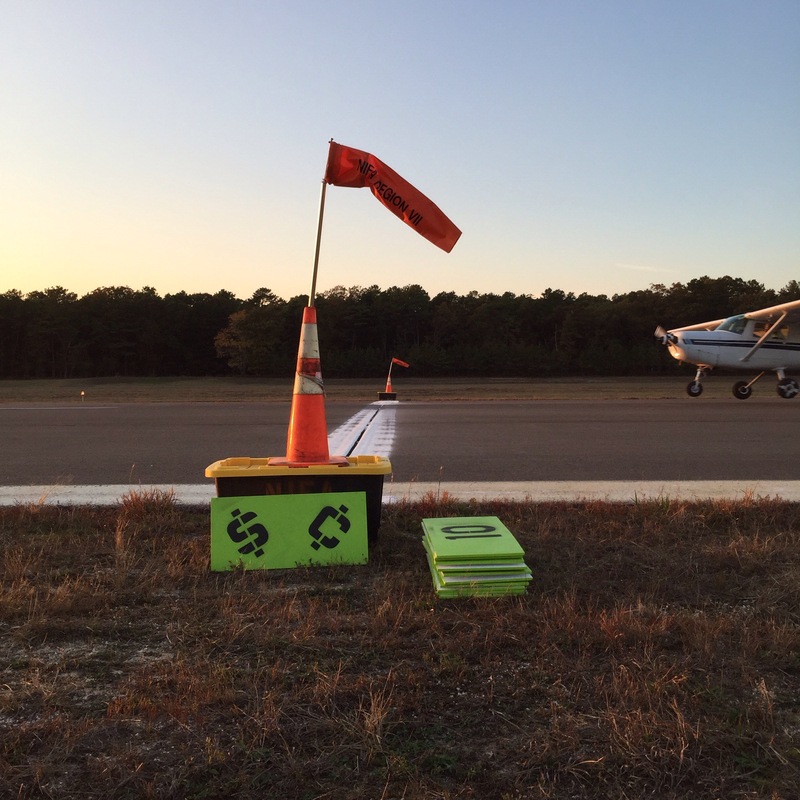 10/25/14 8:30am the lines are down, distance markers & wind socks are out and the judges are excited and in place! 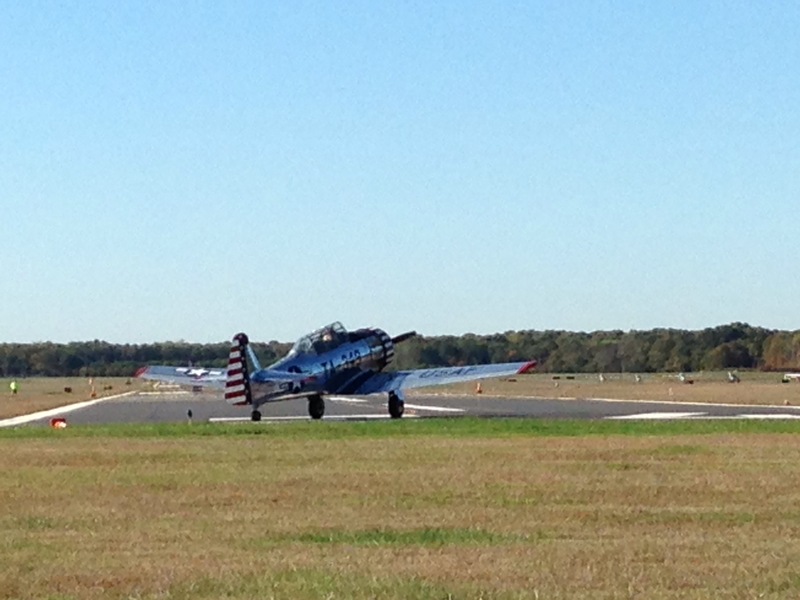 8:50am Heat 1 running up, here we go! 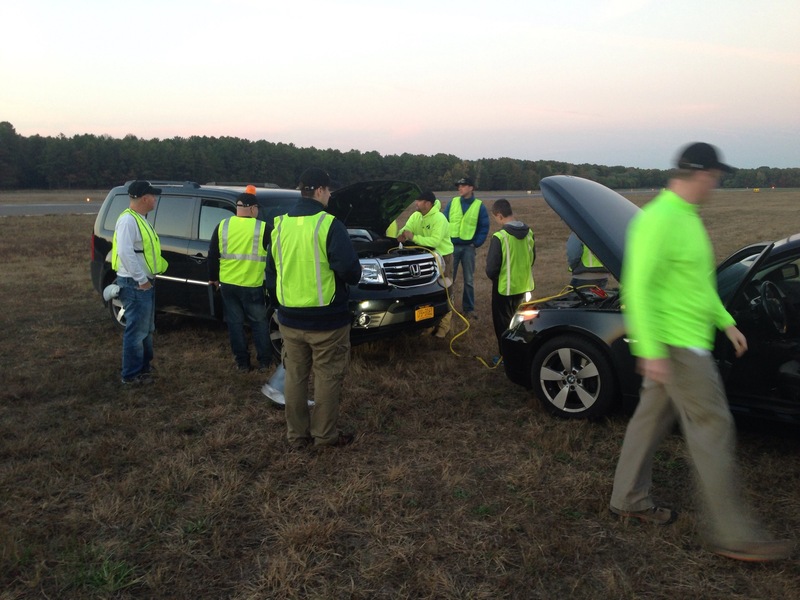 …and then Larry’s car wouldn’t start when we wrapped up the landing competition, took about 16 judges to get it running! 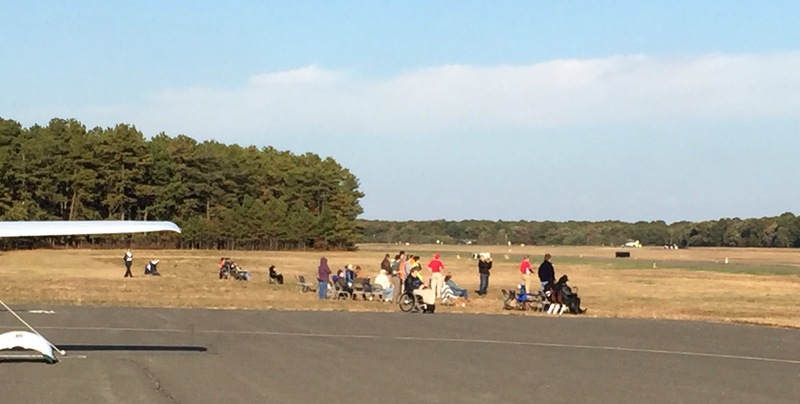 Great to see spectators and competitors watching the action today! 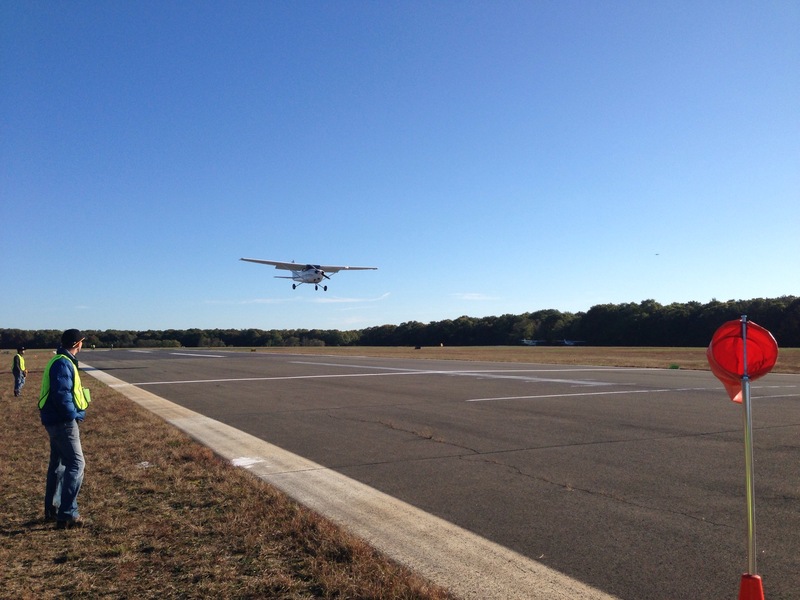 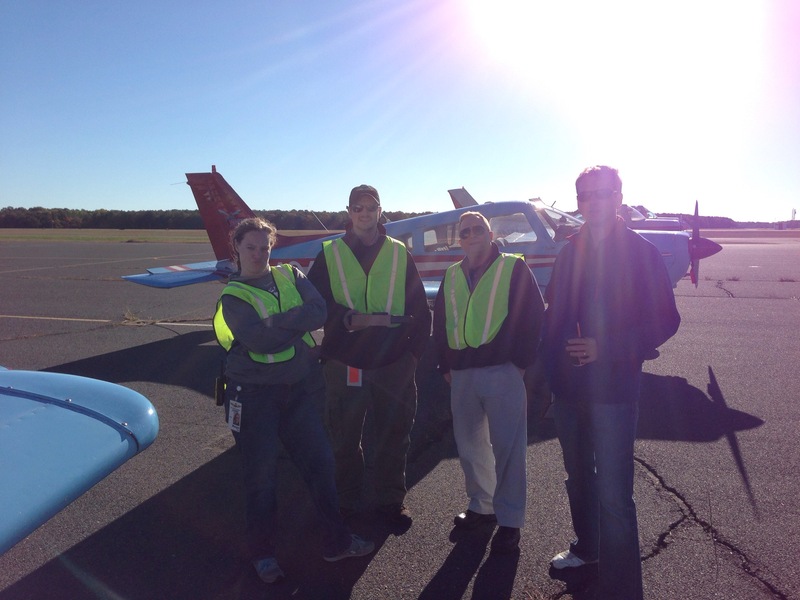 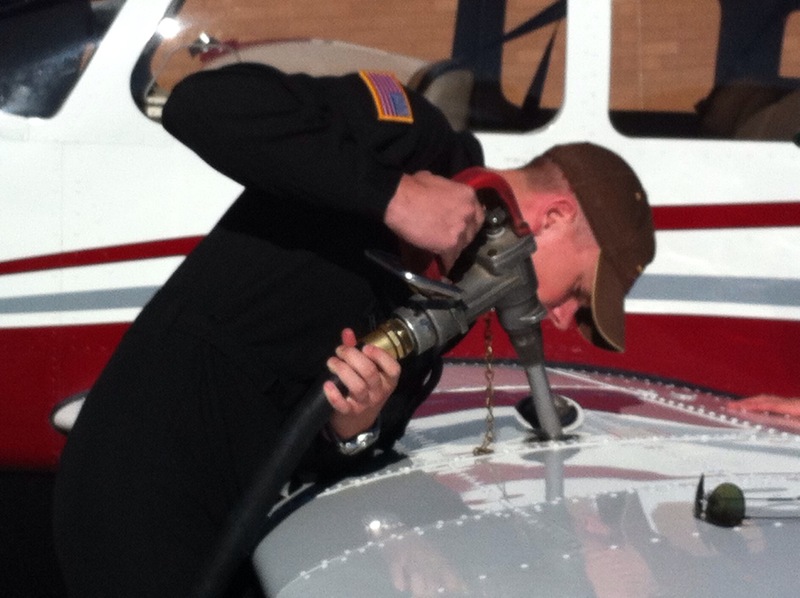 10/26/14 9:00am with Preflight, Navigation & Ground Trainer on tap today, there are a lot of points to be earned. 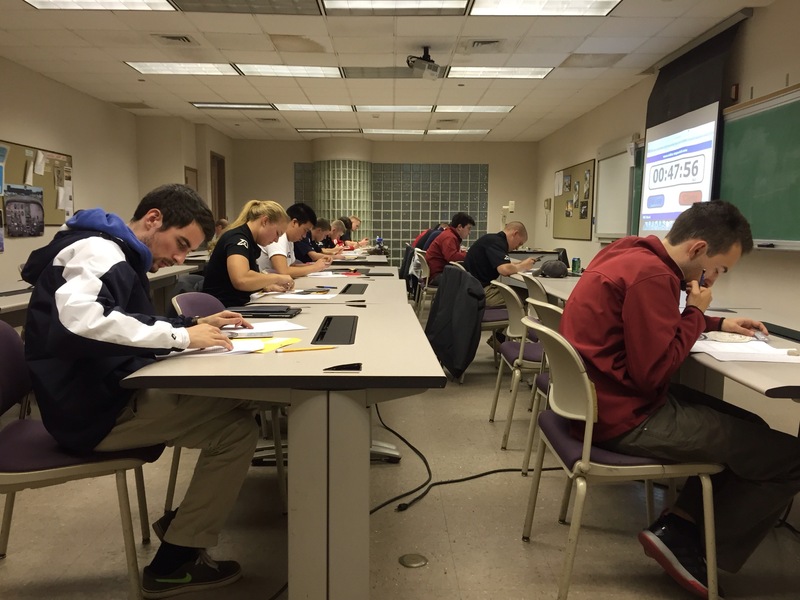 Today’s events go a long way to deciding who represents Region VII at Nationals in the spring! 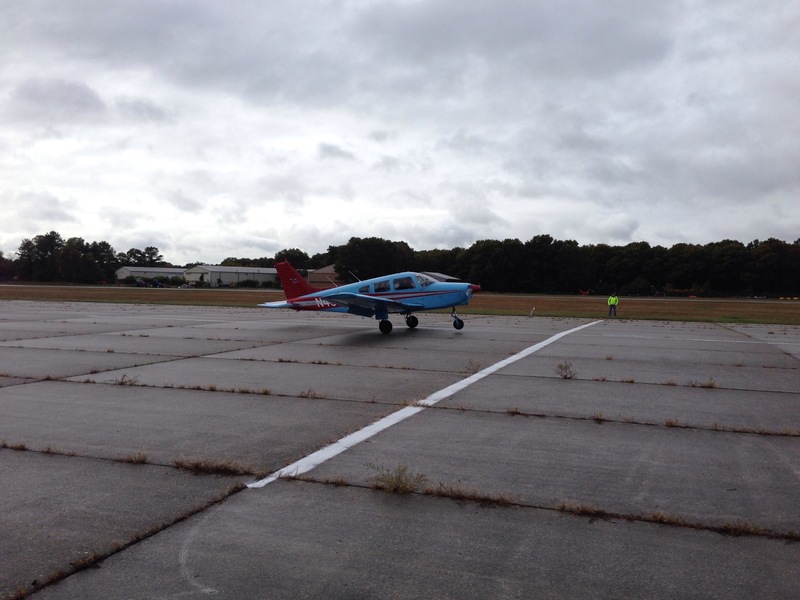 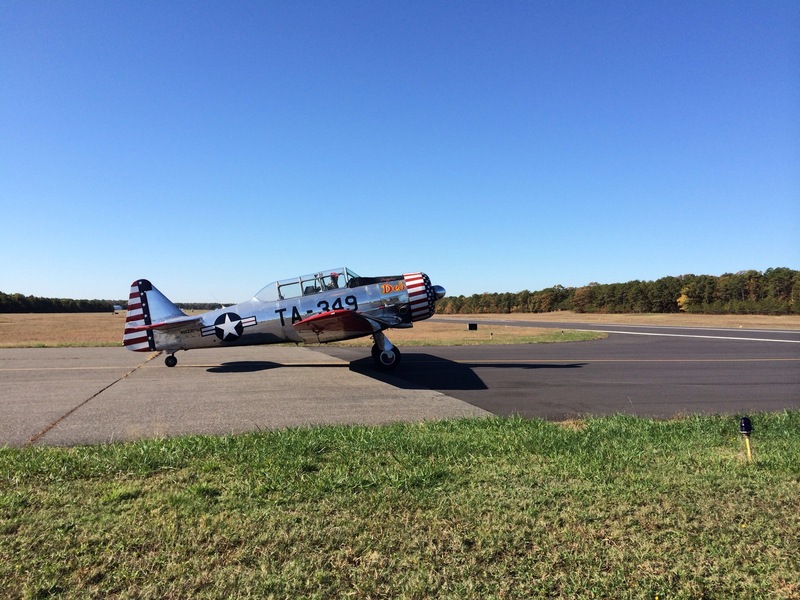 10/26/14 10:30am Due to high winds the NAV flights are being delayed but stay tuned for more info… Ground trainer is also delayed due to a mechanical issue. 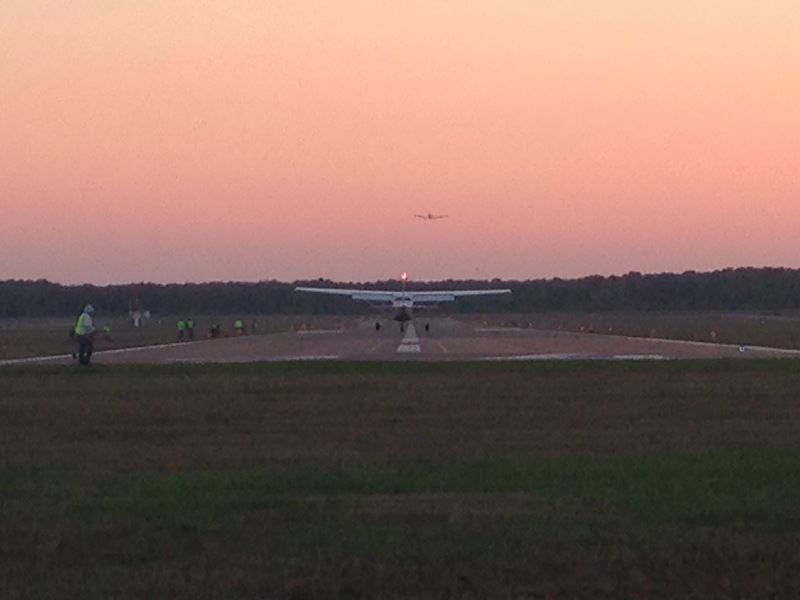 Preflight is moving right along ahead/on schedule! 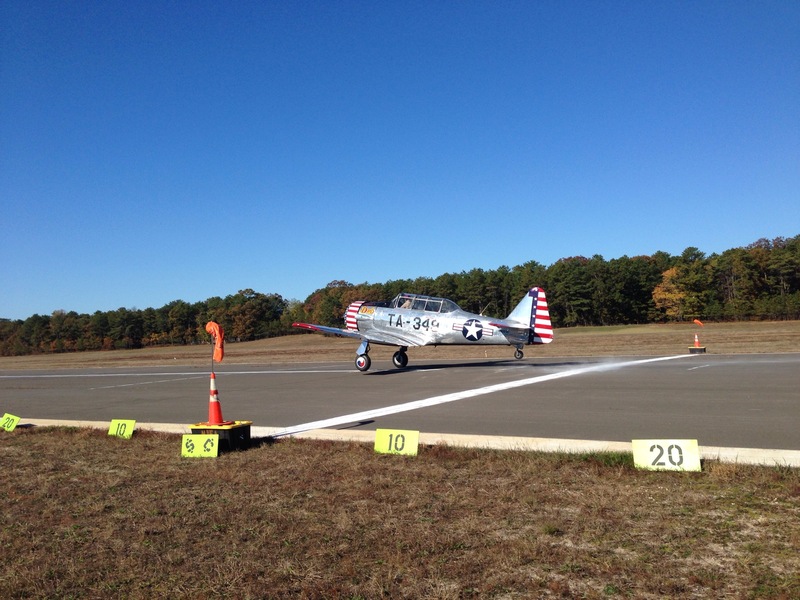 10/26/14 11:45am NAV has been called for the day, ground trainer is behind but we’re making it work and preflight is pushing ahead on schedule! 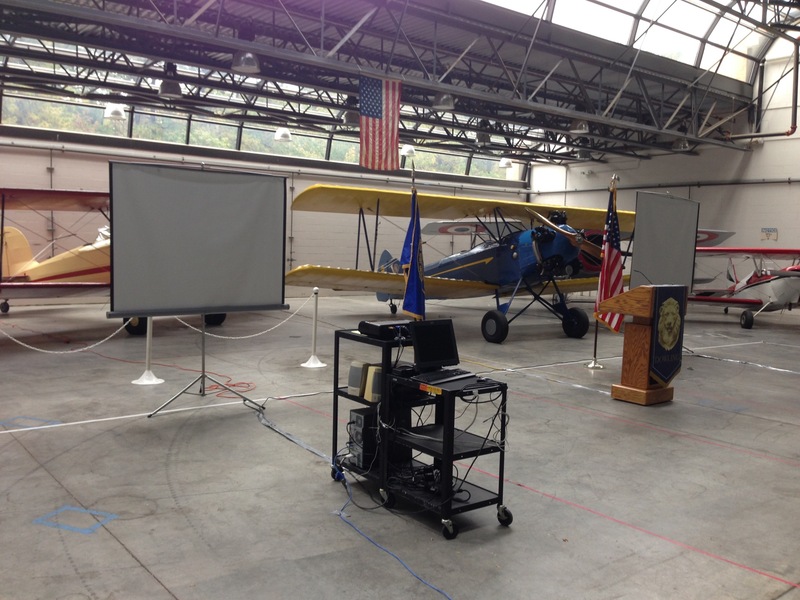 10/26/14 6:30pm Remember the briefing is at 7am tomorrow in the hangar… The plan is to send one NAV team from each school. 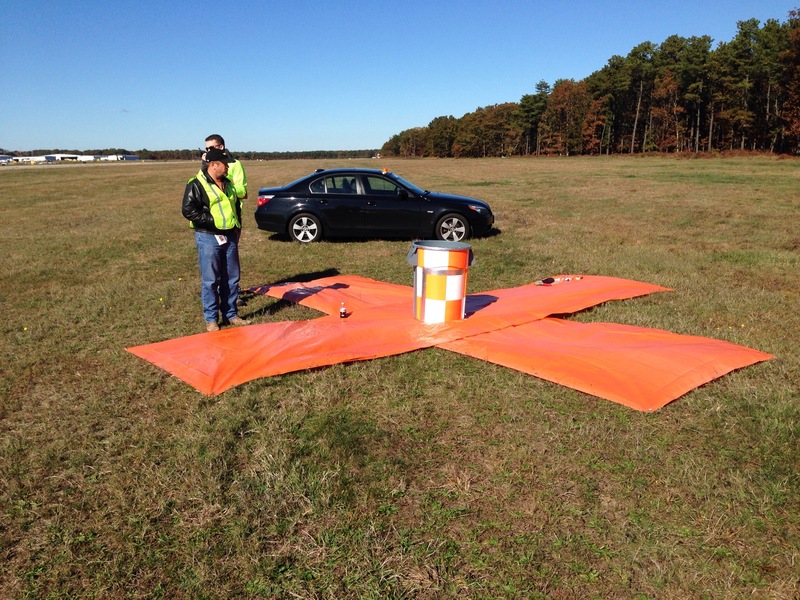 We will then immediately roll into the Message Drop event. 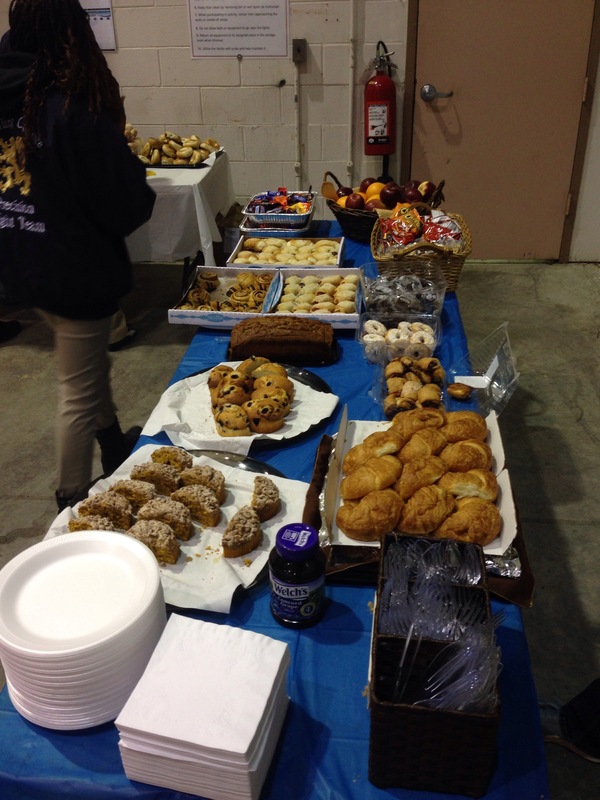 The plan is to roll through the day to the 5pm banquet. 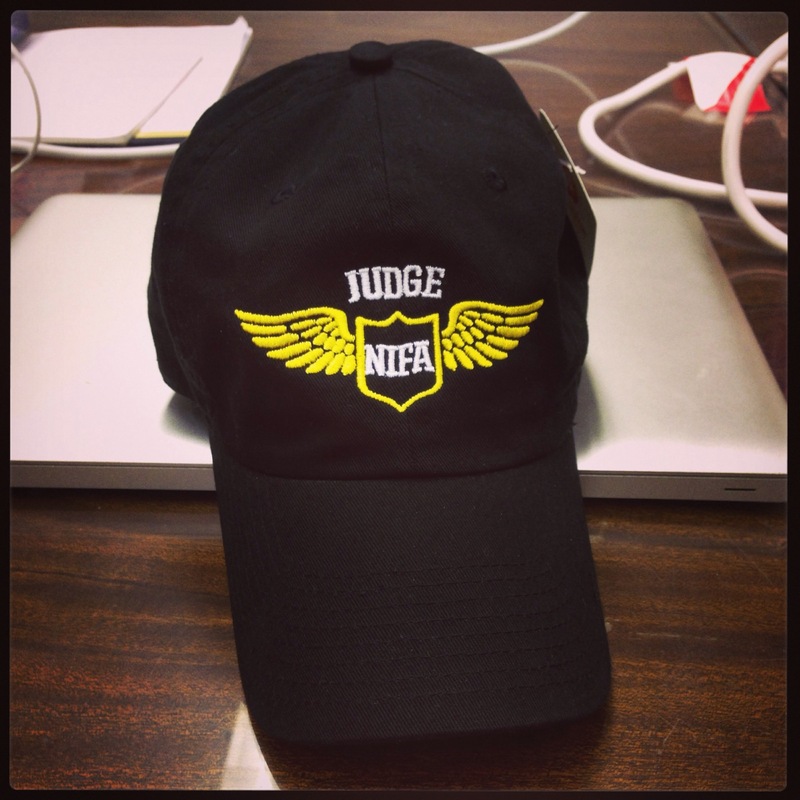 Also, don’t forget that Team Sportsmanship Award nominations are due ASAP to Matt at MTElia1B9@gmail.com. 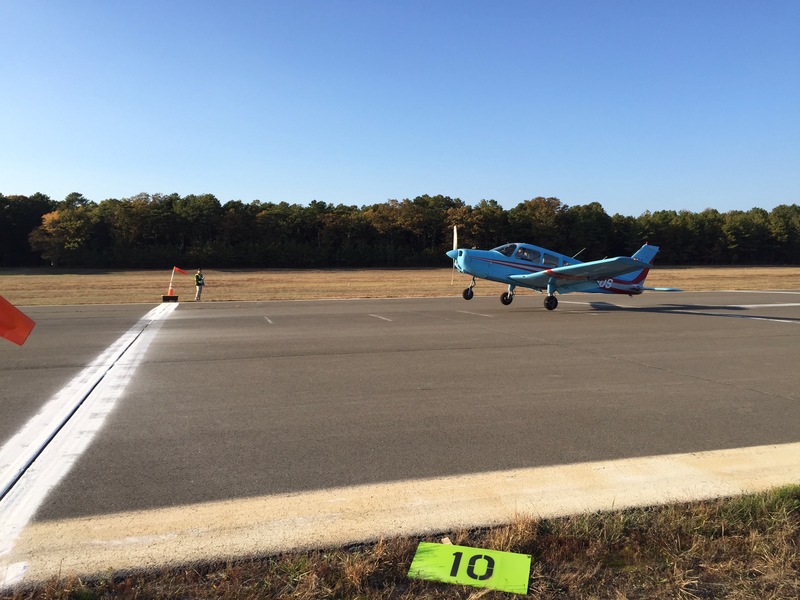 Here are a couple of pictures from the preflight event… We couldn’t post them during the event so we wouldn’t give anything away to the teams that hadn’t competed in the Preflight Event earlier in the day! 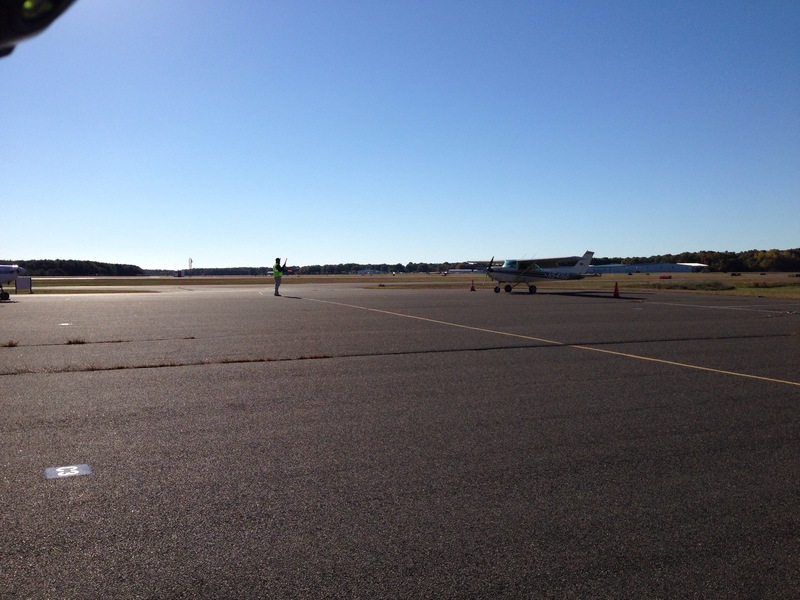 10/26/14 11:05am Team should be ready to start engines for the first heat of Message Drop at 11:20! 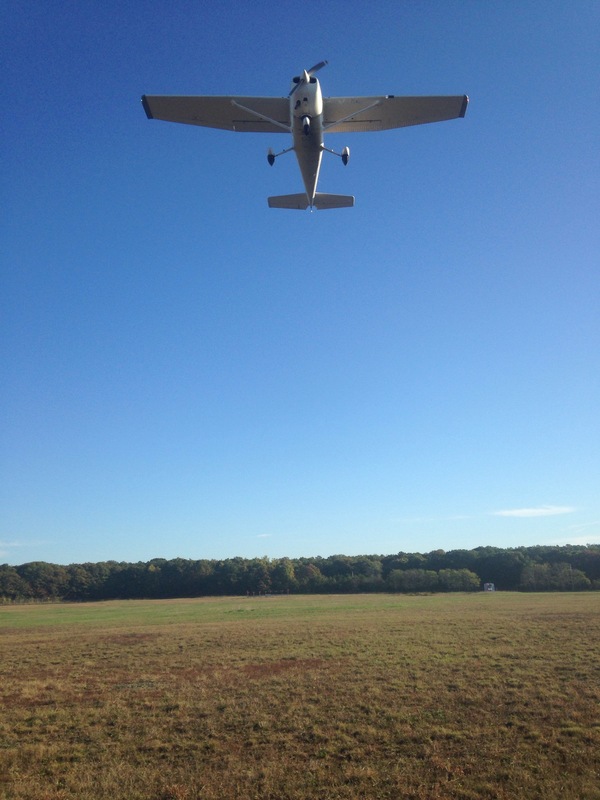 The message drop target #1! 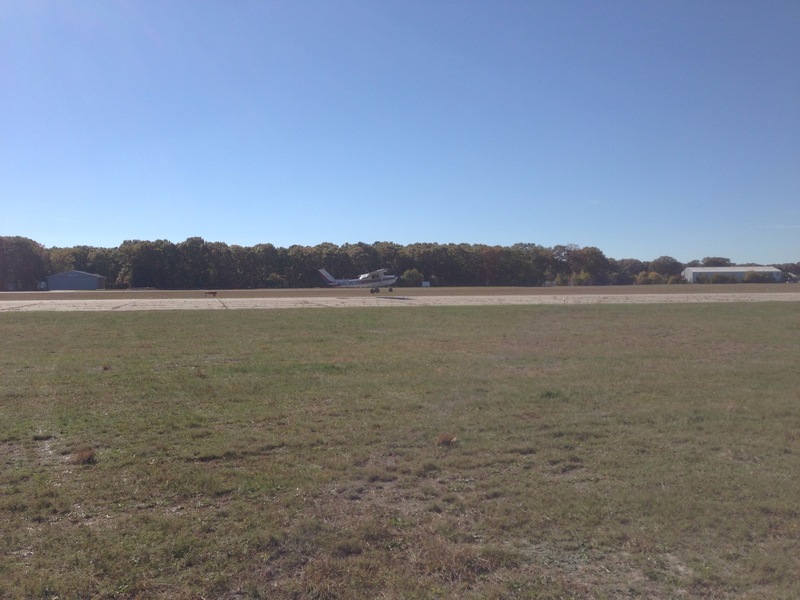 The last plane from the last event lands & then it shuts down, and it’s time for the banquet at 5:30pm at the main campus. 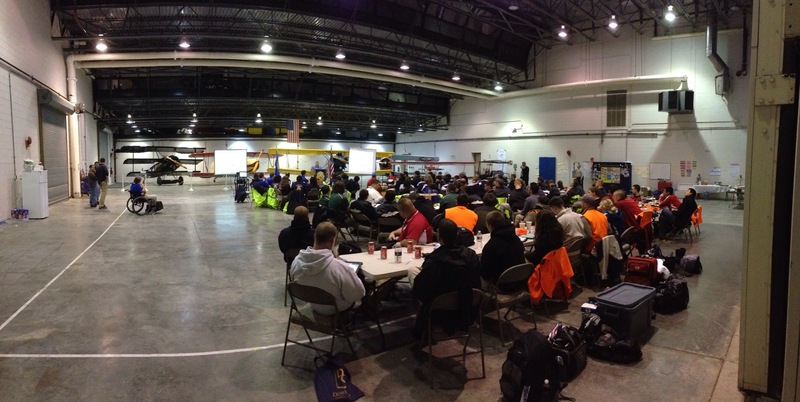 Congratulations to our regional leaders and the team that will represent Region VII at Nationals! 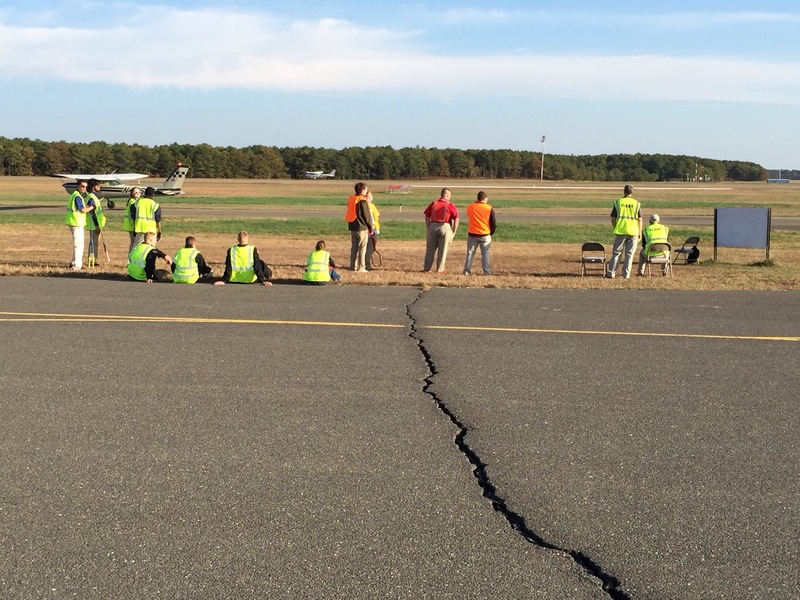 Also, I’d like to personally congratulate Bridgewater State University for winning the first ever ReviewBeforeFlight.com NIFA Region VII Team Sportsmanship Award which was based on judges’ input as well as competitor teams’ nominations! 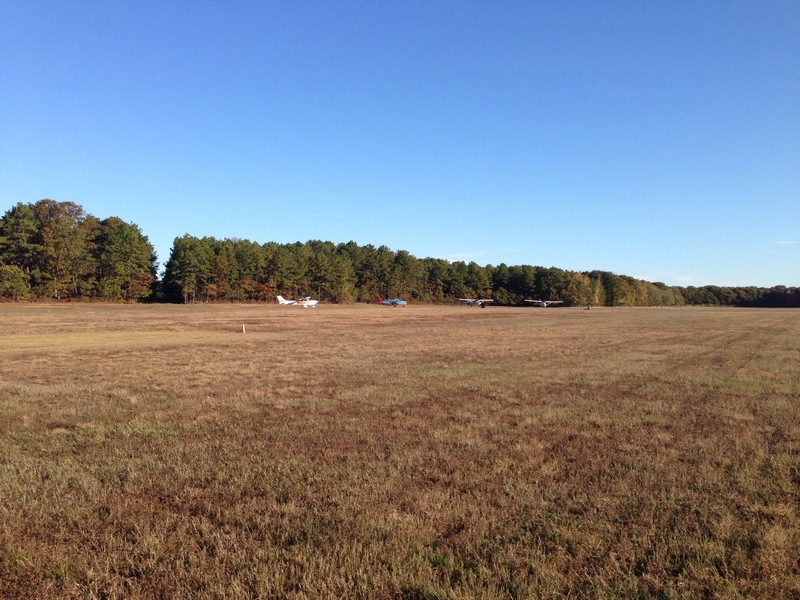 Full event results can be found on the NIFA website HERE! 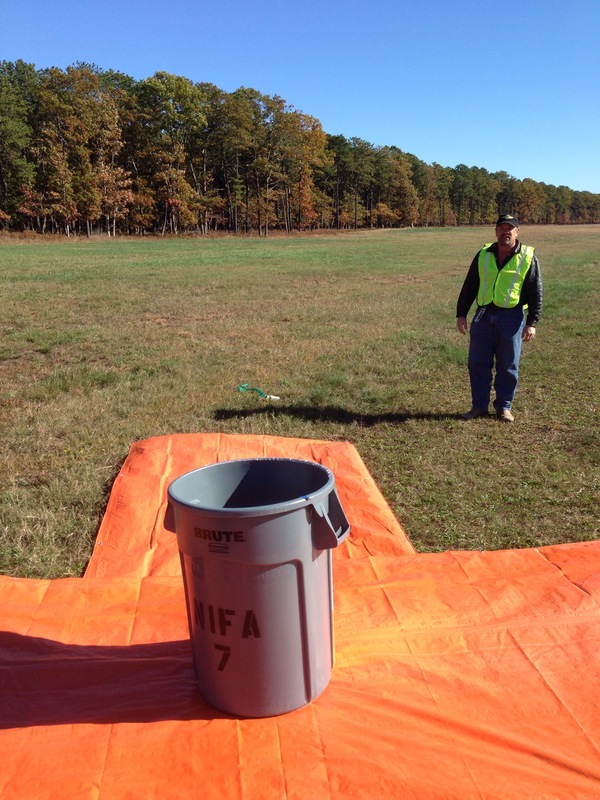 Looking forward to following your semi-Live blog and perhaps making some contributions during the upcoming Nifa Region VII Safecon. 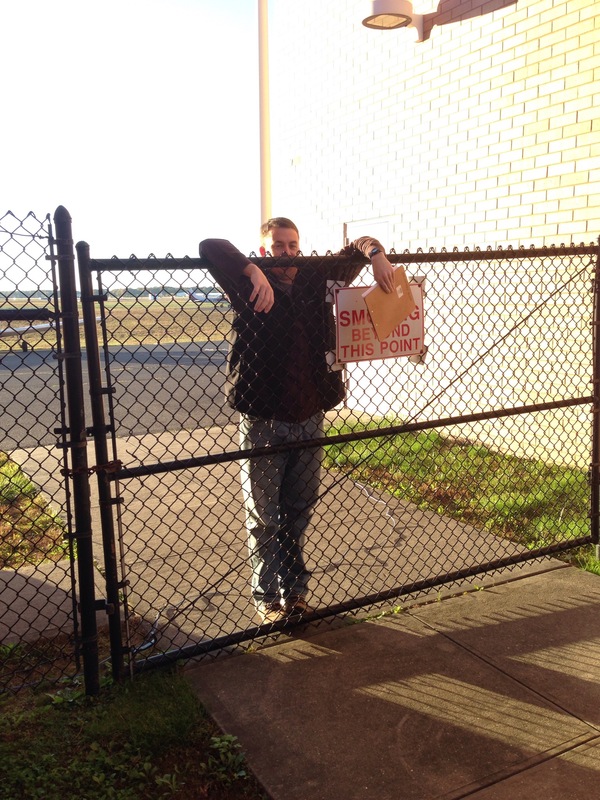 Hi Joel, looking forward to seeing you and your contributions to the blog! 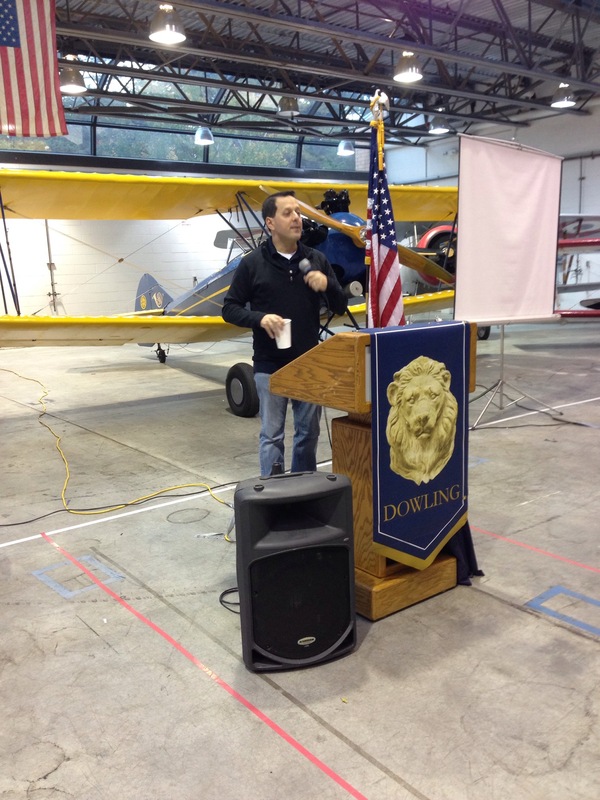 hey joel do you have any pictures of Dowling College team Pictures?